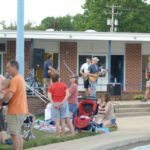 A grateful community for a non-denominational outdoor memorial service was held at the Antietam Valley Recreational Community Center. 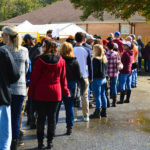 Antietam Valley Community Partnership, alongside Pennside Presbyterian Church, Trinity United Church of Christ, Faith Lutheran Church and Bethany Evangelical Lutheran Church partnered to commemorate the lives of those lost on 9/11 and to celebrate the extraordinary and selfless First Responders of the Antietam Valley who include Central Berks Regional Police, Mount Penn Volunteer Fire Company, Lower Alsace Township Fire Department and Lower Alsace Ambulance. 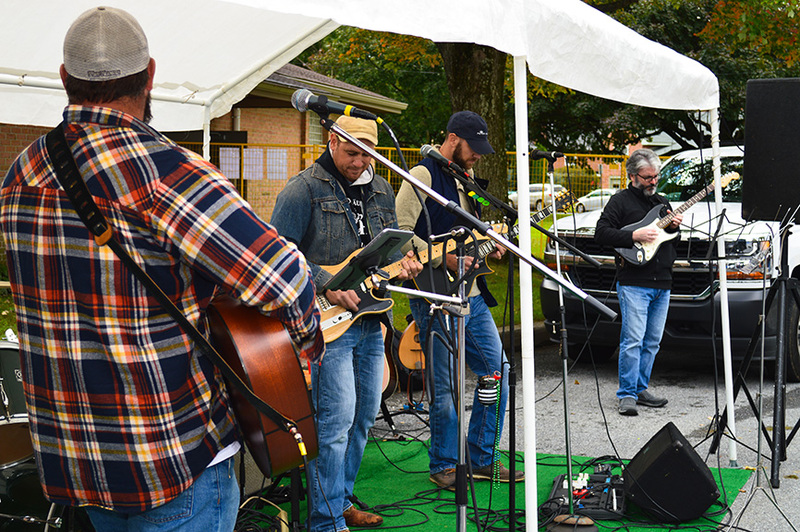 Immediately following the Service was a special performance by the Hamilton Celtic Pipes and Drums, generously underwritten by the local the Antietam Valley business, OneHappyPillow. 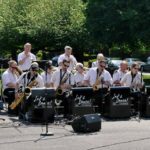 Immediately following the bagpipe presentation was a performance by the 20-piece Let’s Dance Orchestra, generously underwritten by Republic Services, the event’s Premier Sponsor. 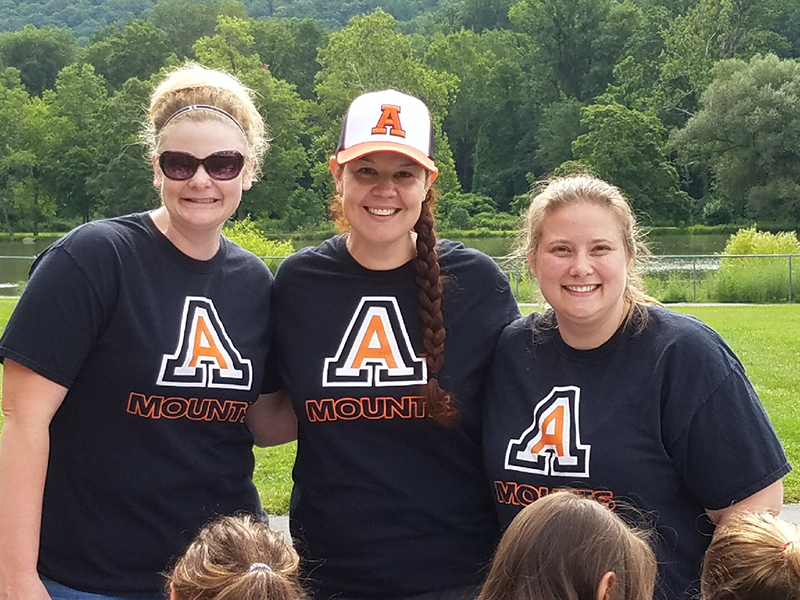 Coordinated efforts by uniformed men and women, the Antietam School District and community members of the Antietam Valley produced a moving tribute to the tragedy of 9/11. 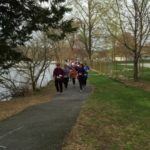 The International Association of Fire Chief’s recommended ceremony was followed with participation from local fire, police and emergency personnel. 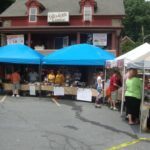 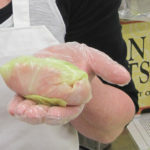 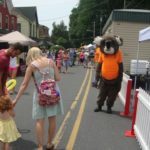 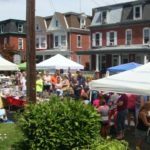 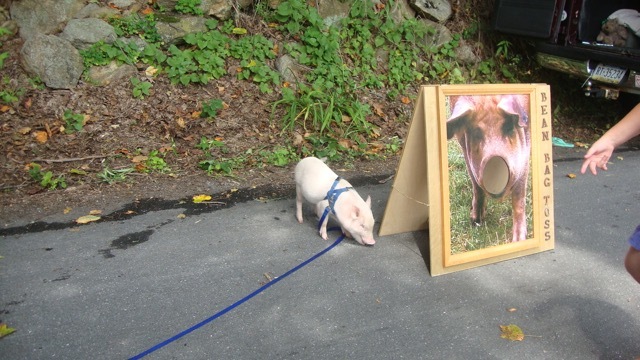 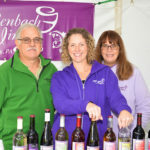 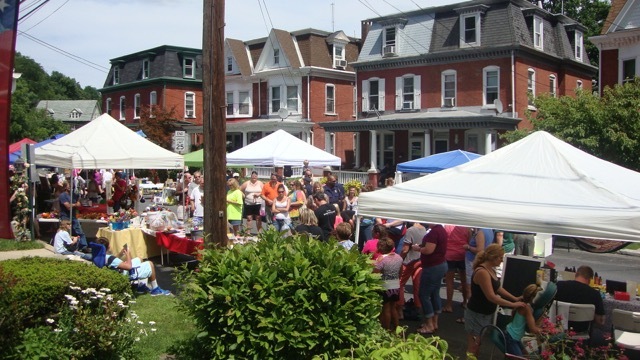 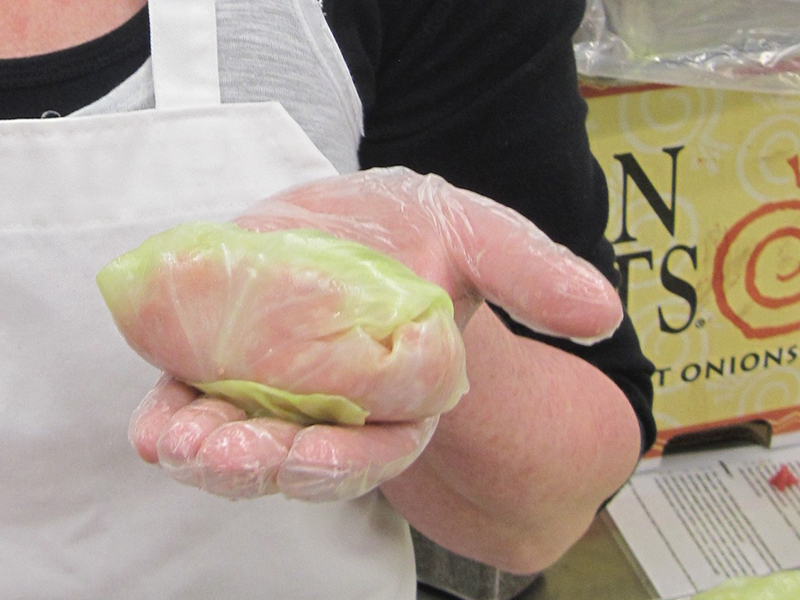 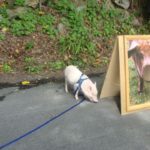 The Antietam Valley Farmers’ and Artists’ Market (AVFAM) was created and organized to operate a local farmers market, offering consumers a wide range of locally grown produce and products made by the vendors themselves. 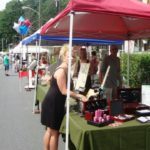 Both vendors and shoppers alike will enjoy the beautiful park setting of the market: an open-air market when the weather is agreeable, and a large indoor covered space for when nature does not cooperate with us. 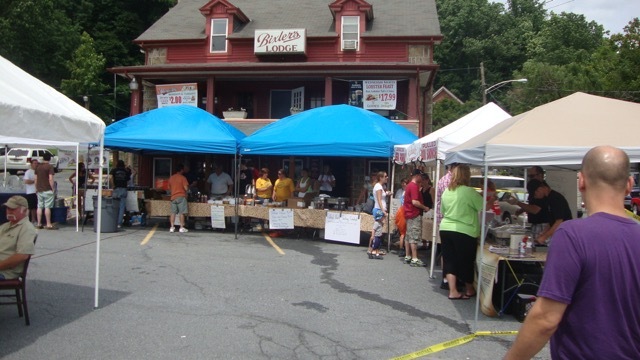 Both a summer and winter (indoor) market are held regularly on Saturdays throughout the year. 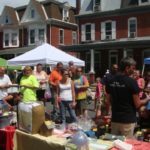 >> Read more about the market. 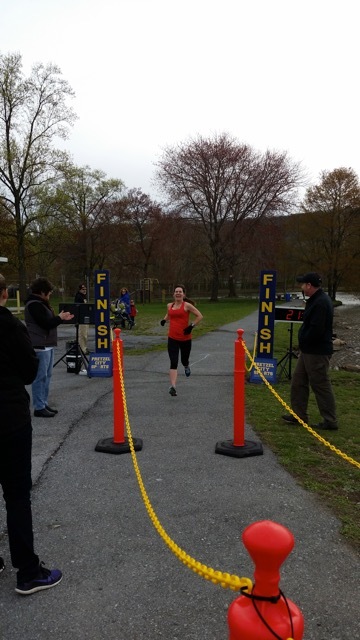 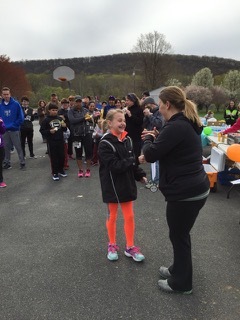 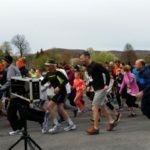 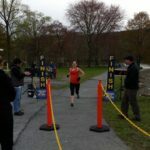 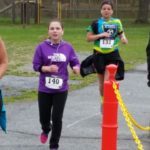 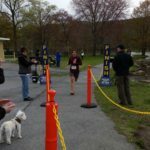 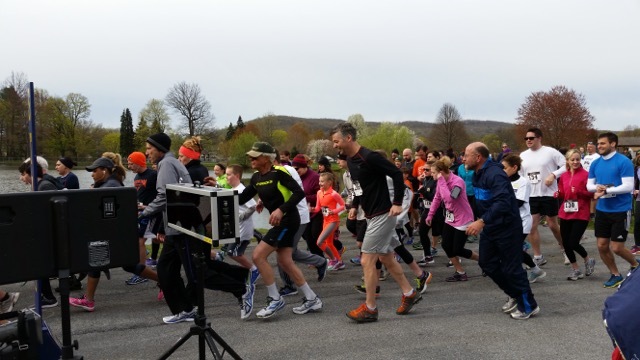 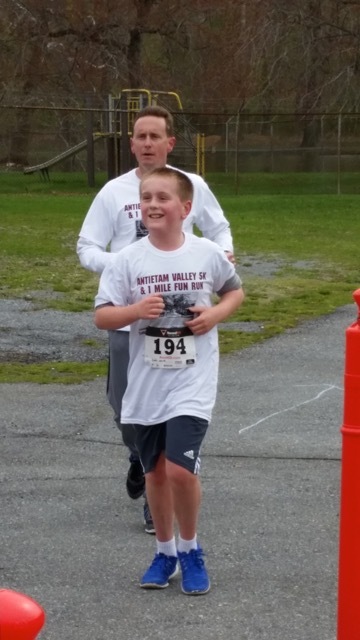 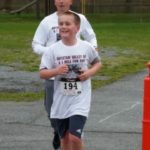 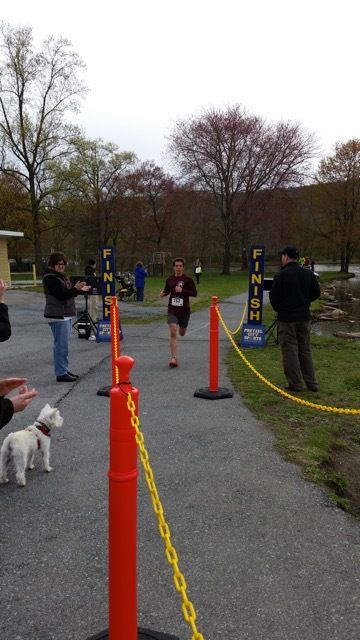 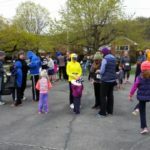 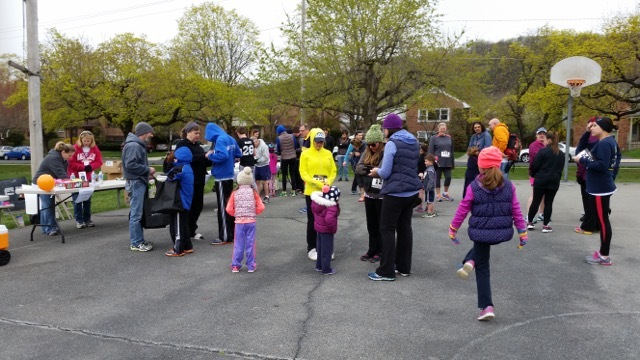 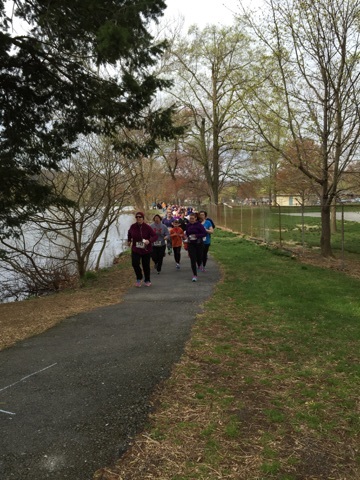 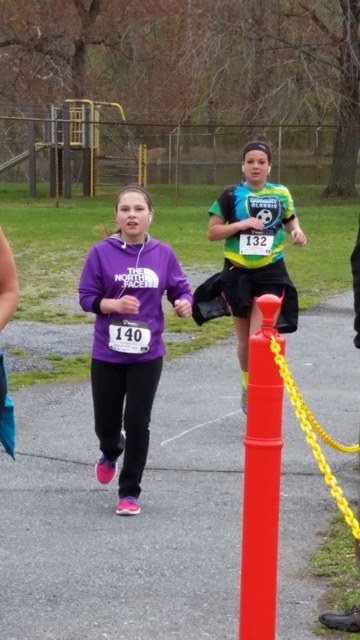 The 2nd Annual Antietam Valley 5K and 1 mile Fun Run was held on Saturday, April 30. 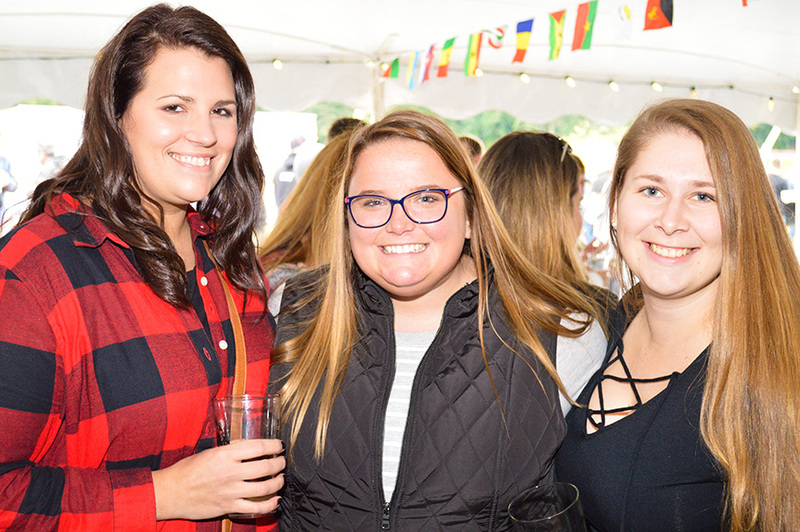 At the 1st annual Arias event, over 150 guests enjoyed a magical evening of Italian food and unforgettable music at Anthony’s Trattoria in Pennside. 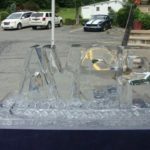 Our second Arias was held at Stokesay Castle, and the third again at Anthony’s Trattoria. 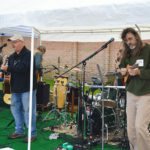 Patrons enjoyed a magical evening of delicious food and unforgettable music. 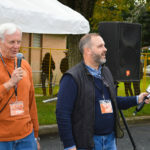 Professional operatic singers from the Philadelphia performed arias during the meal. 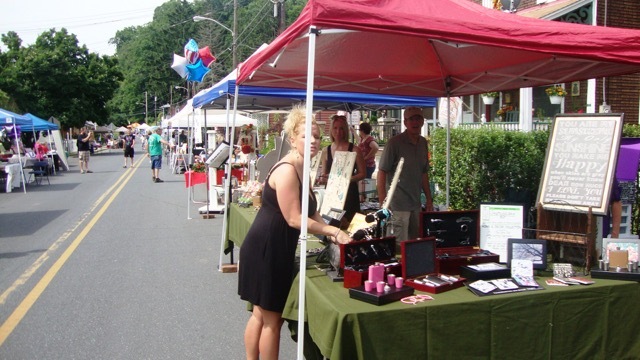 Our third event featured local soprano Meghan Dewald. 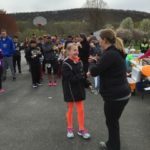 A native of Exeter Township, Meghan recently completed her Doctor of Music in Vocal Performance and Literature. 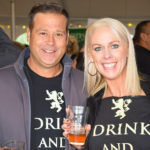 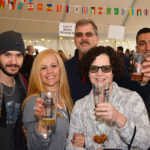 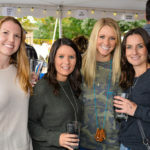 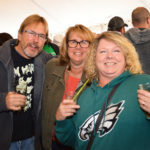 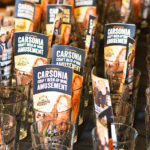 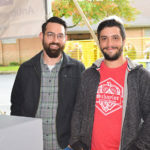 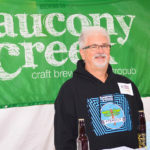 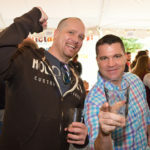 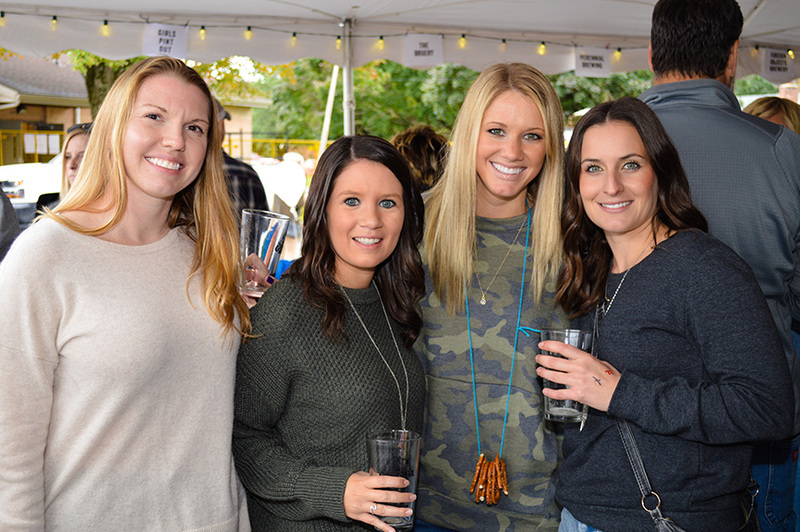 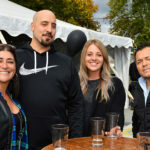 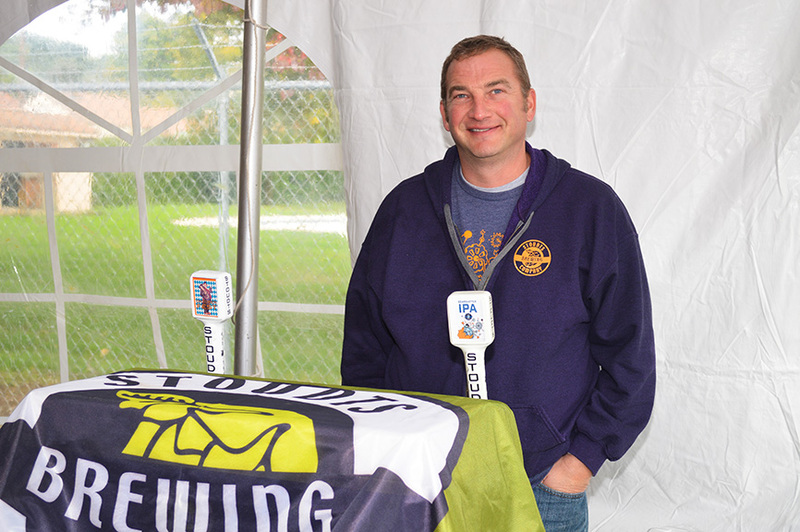 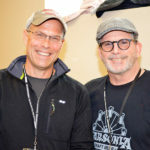 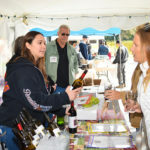 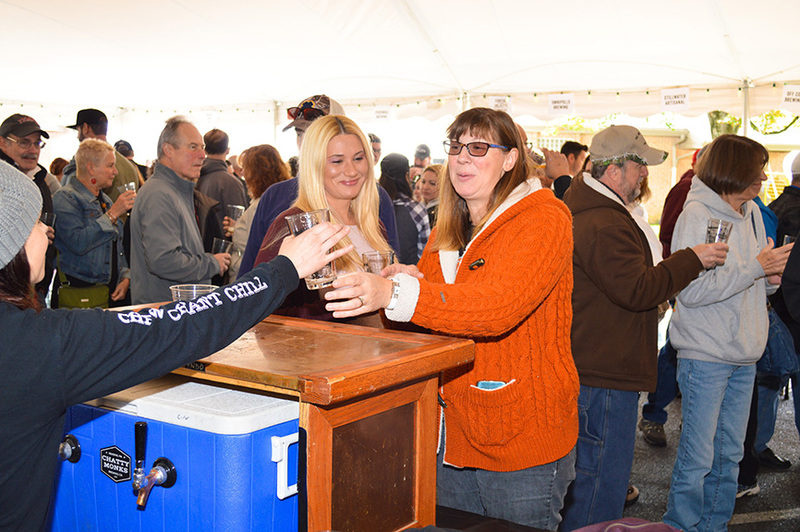 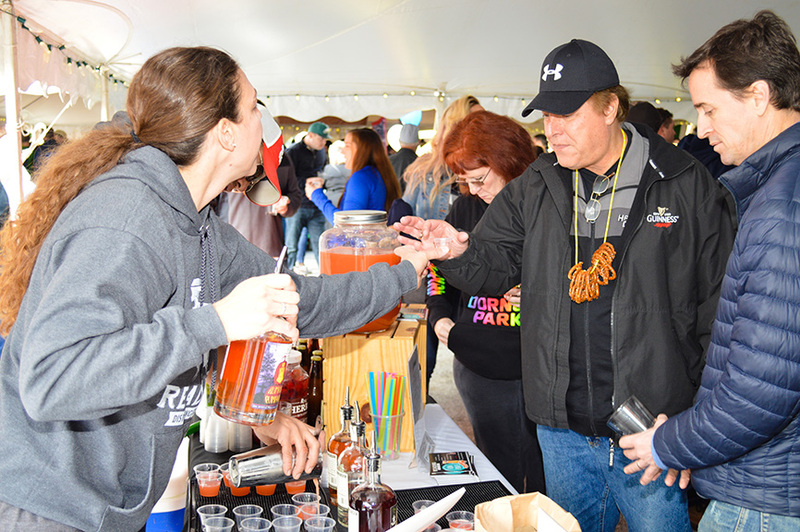 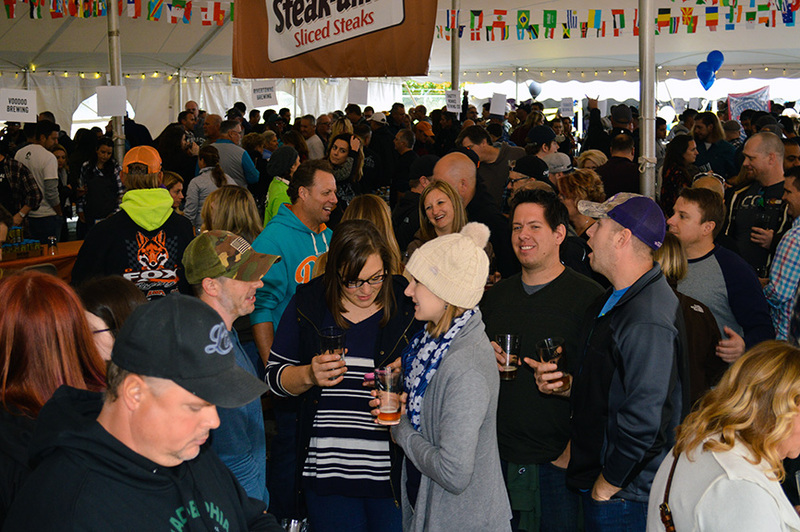 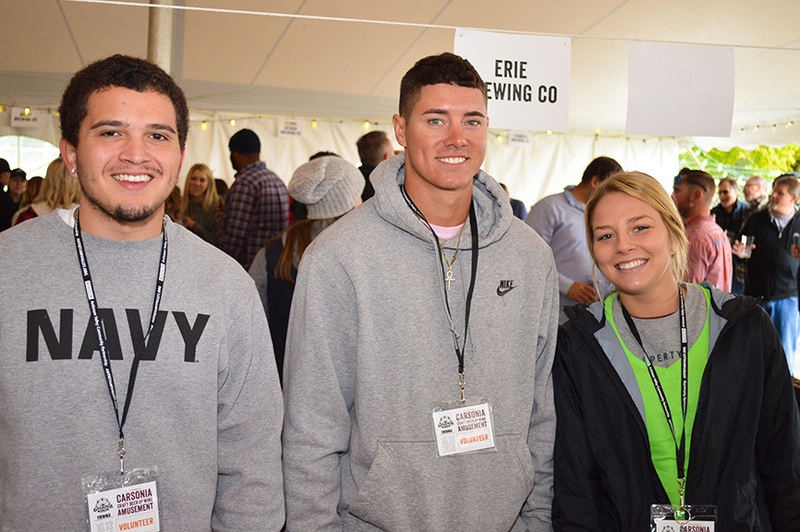 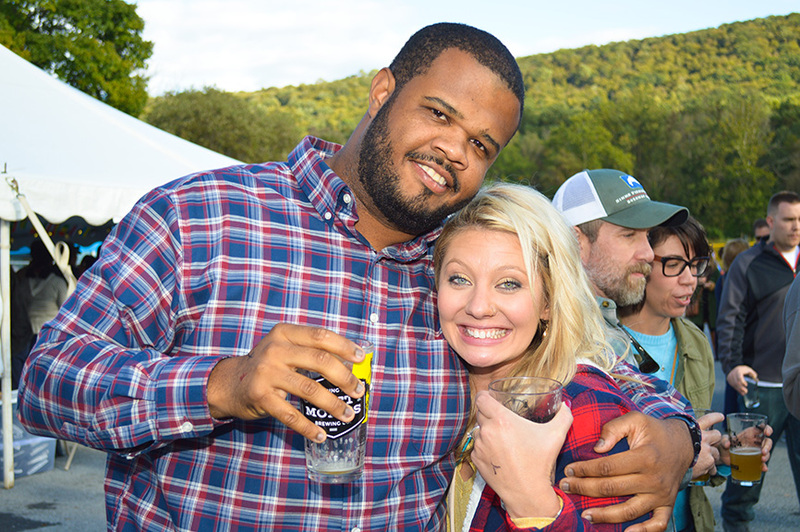 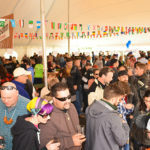 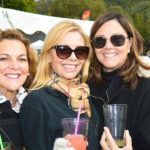 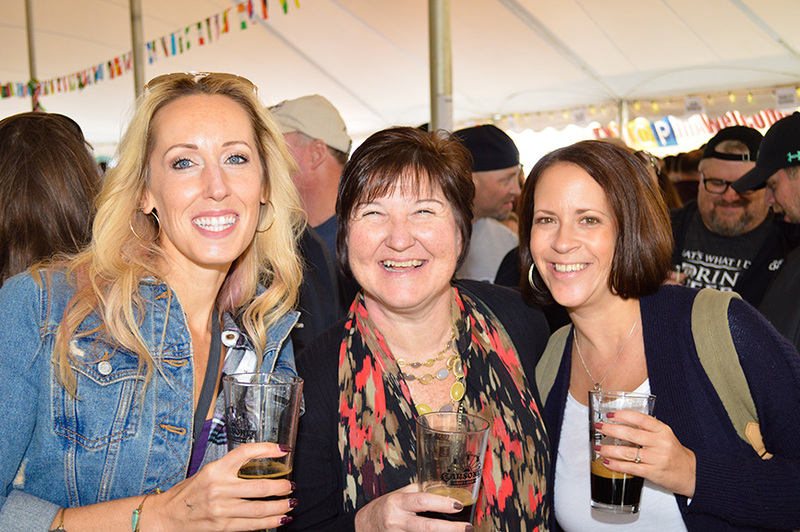 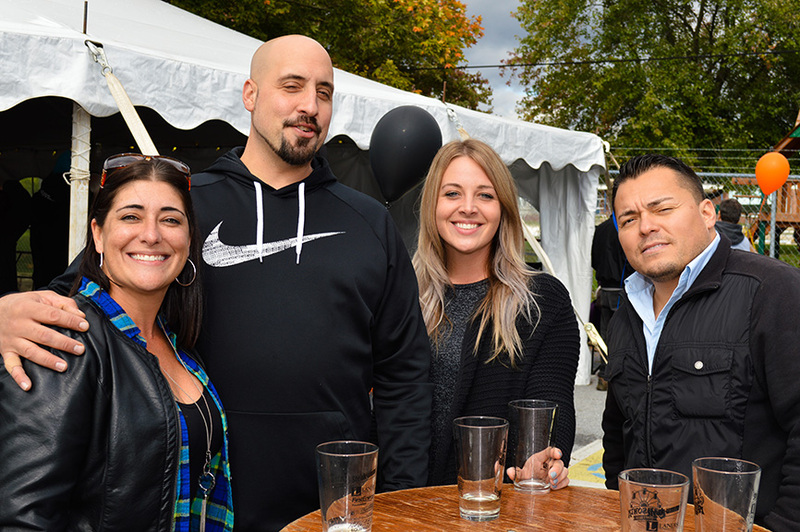 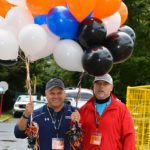 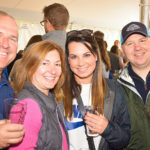 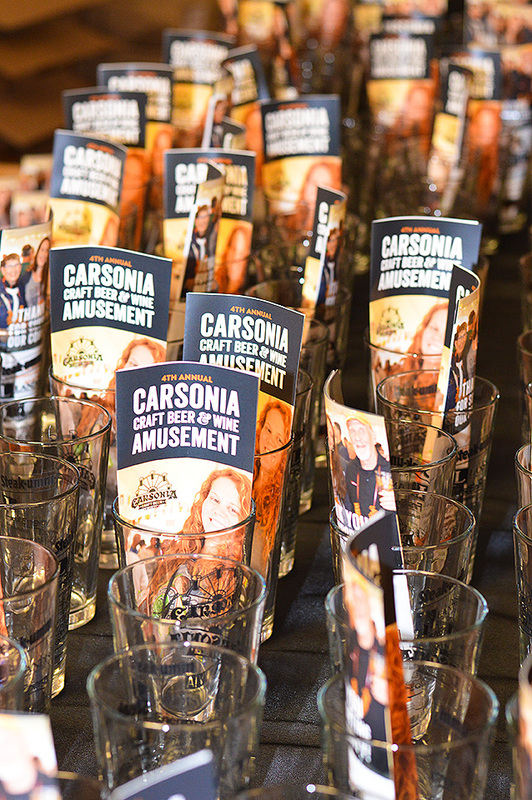 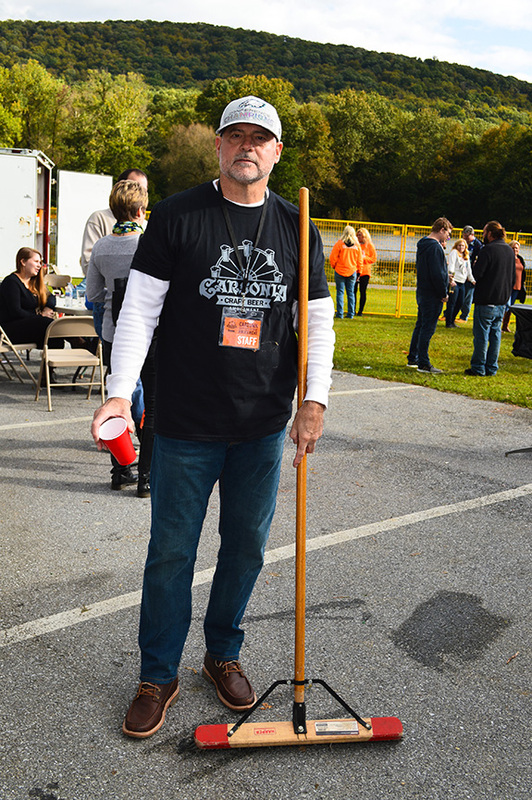 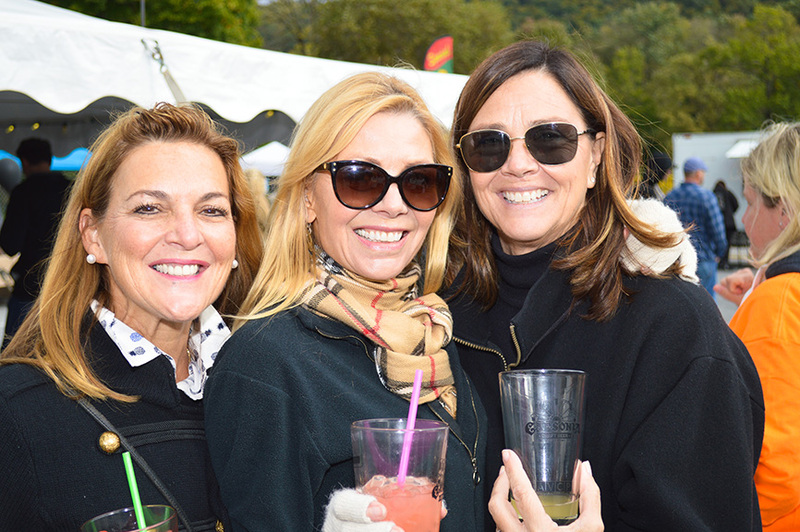 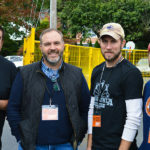 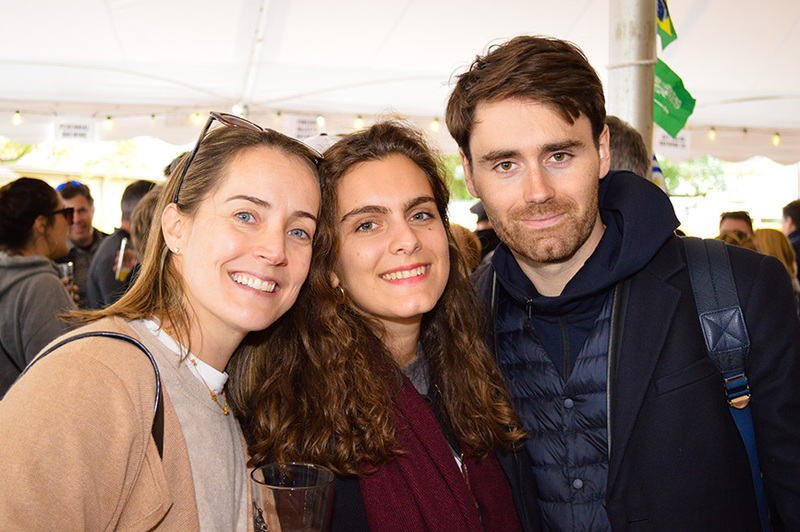 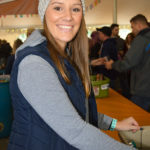 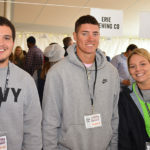 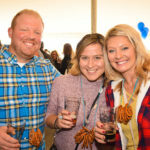 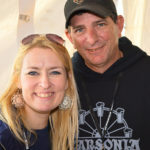 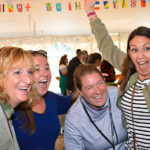 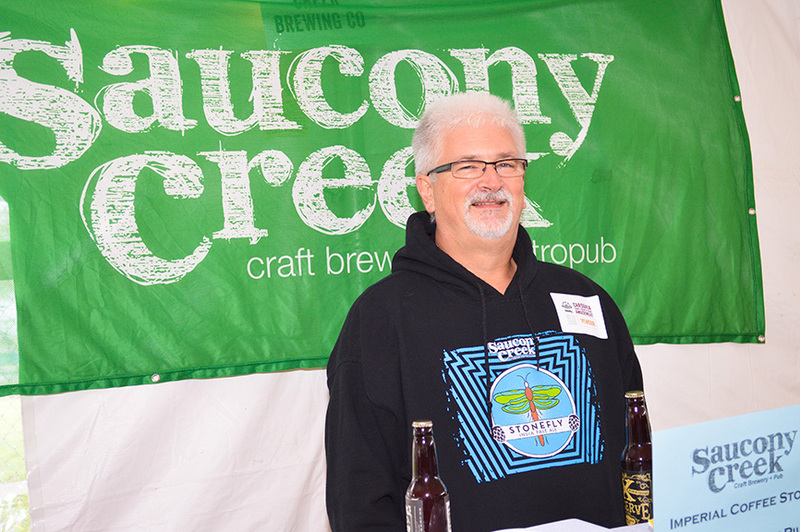 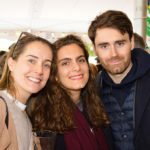 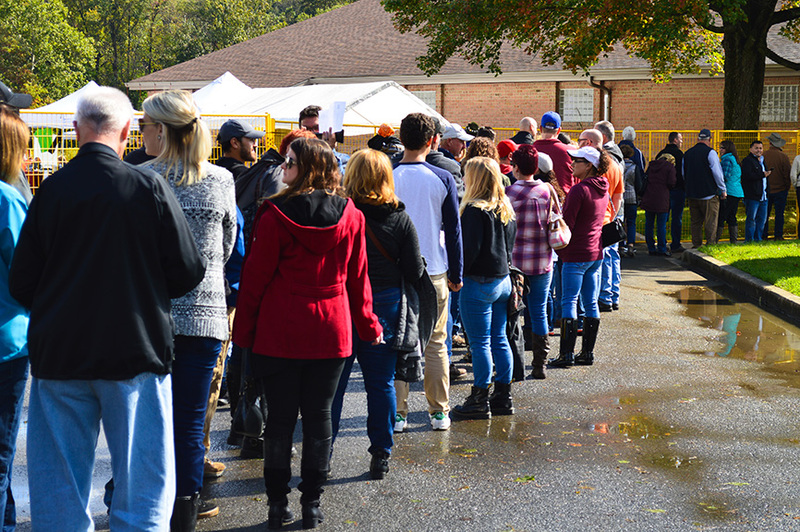 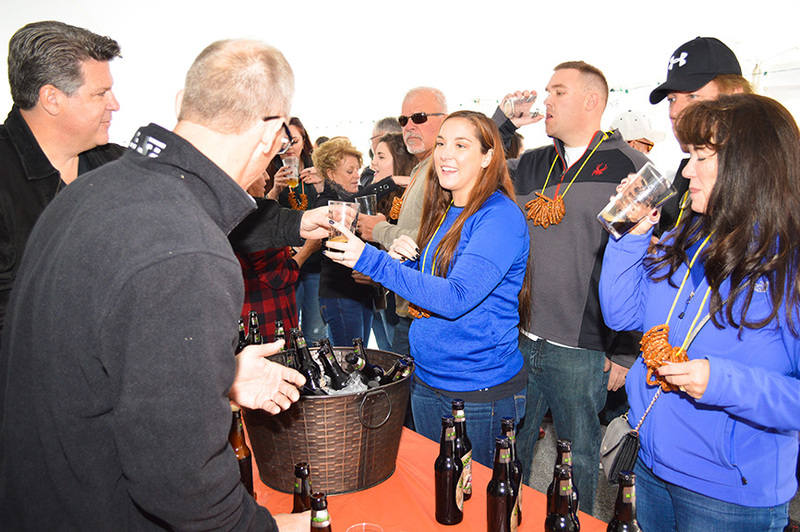 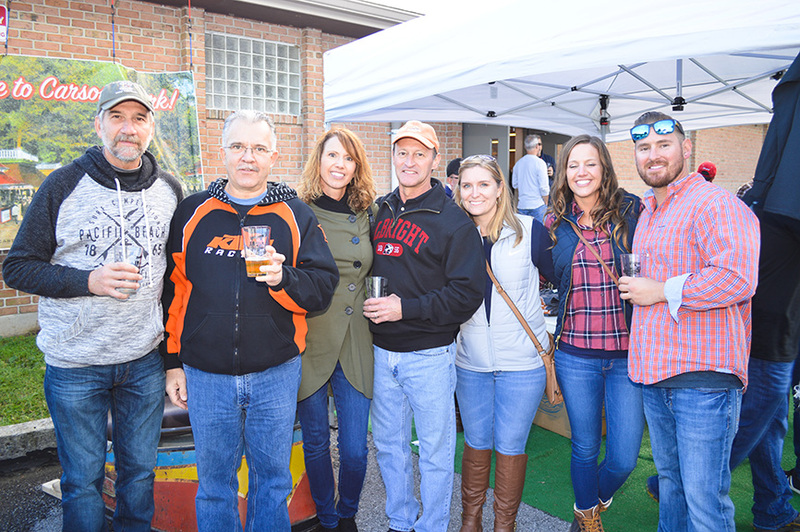 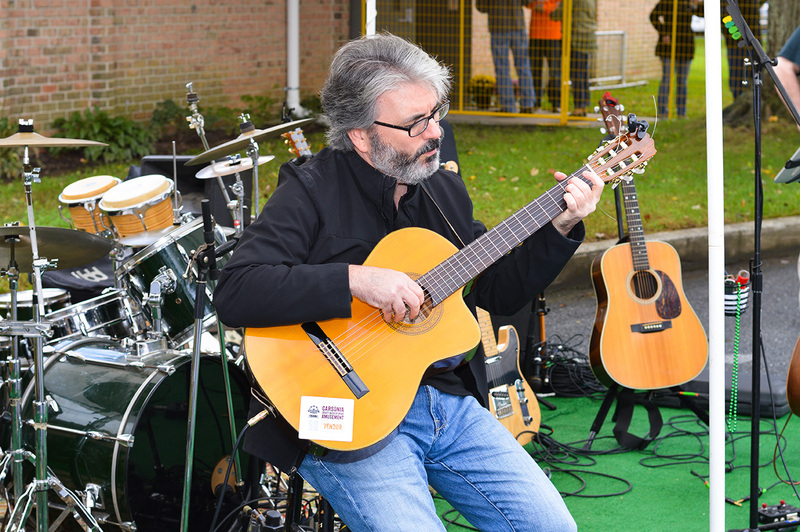 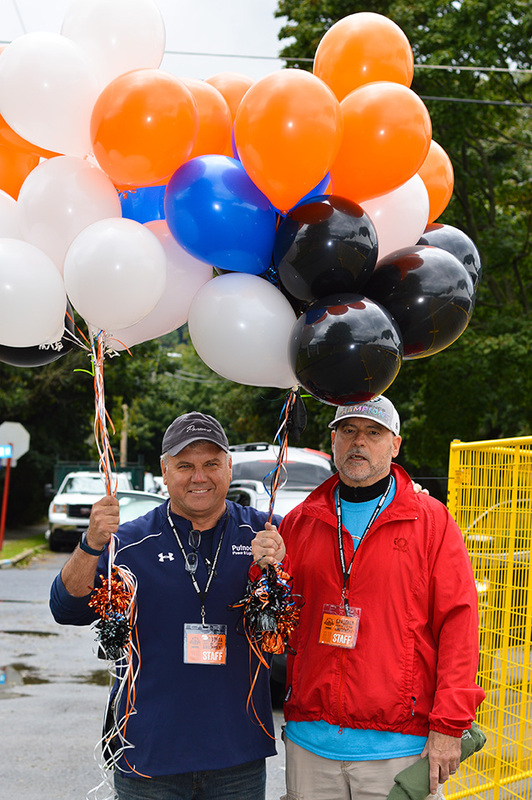 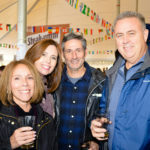 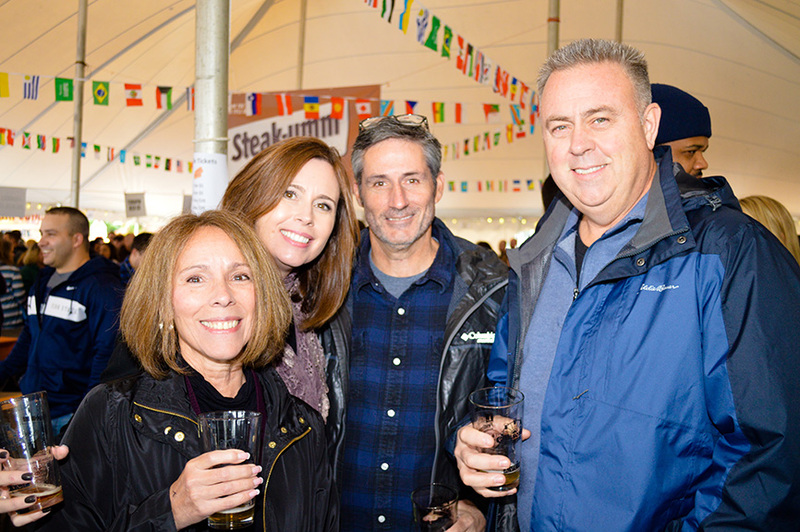 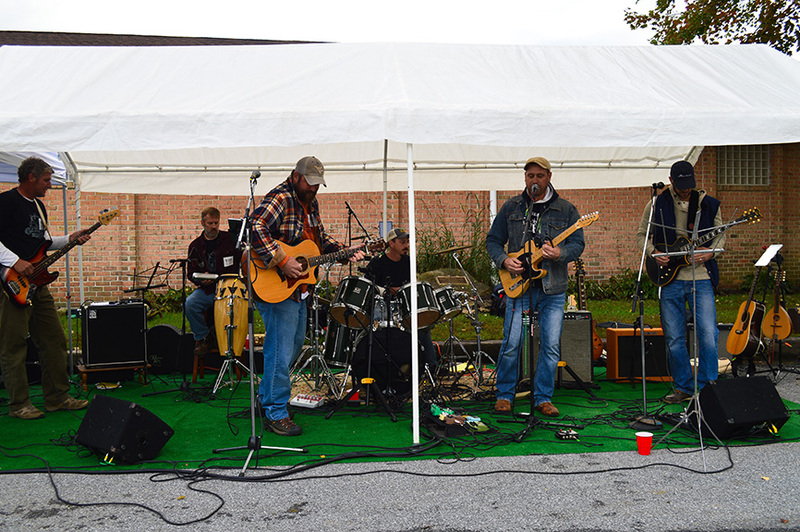 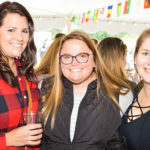 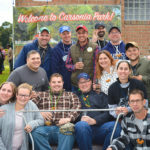 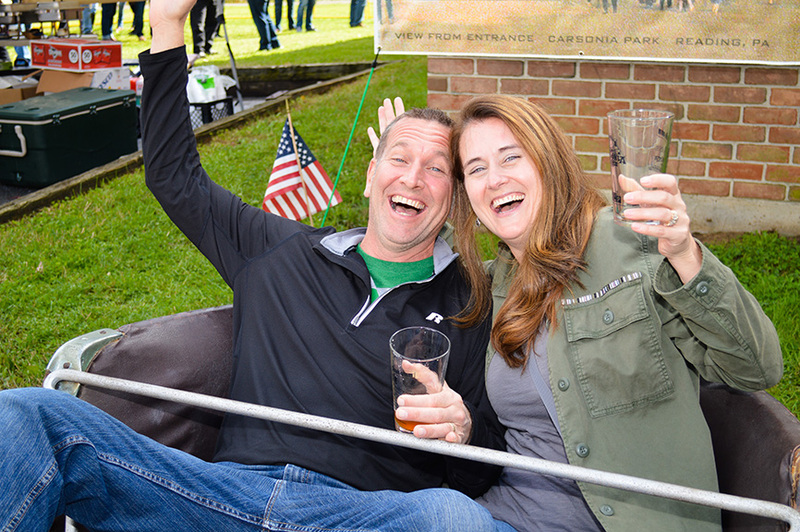 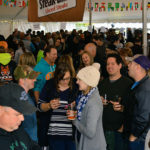 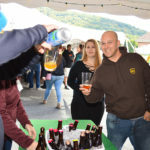 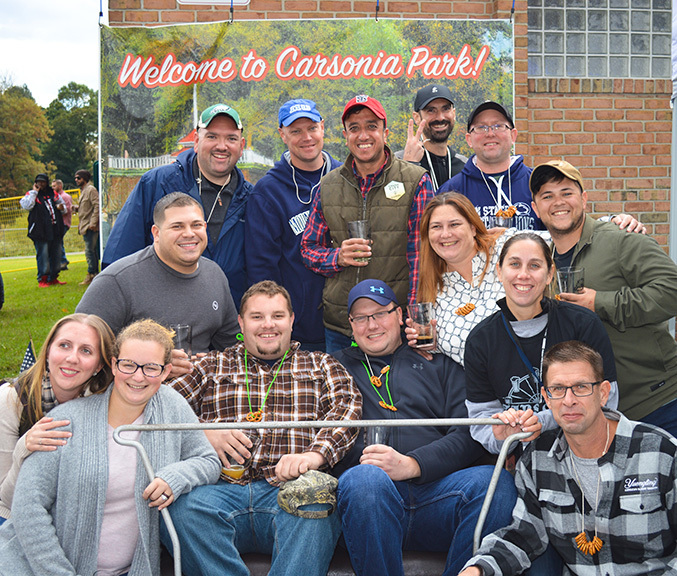 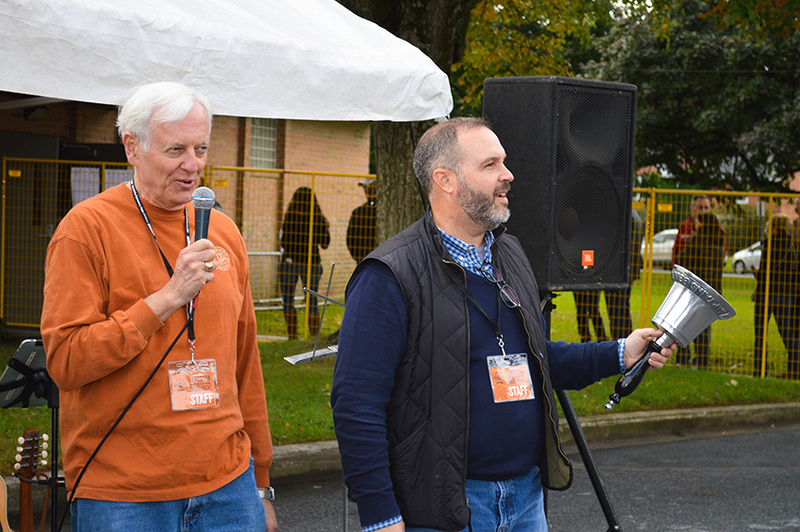 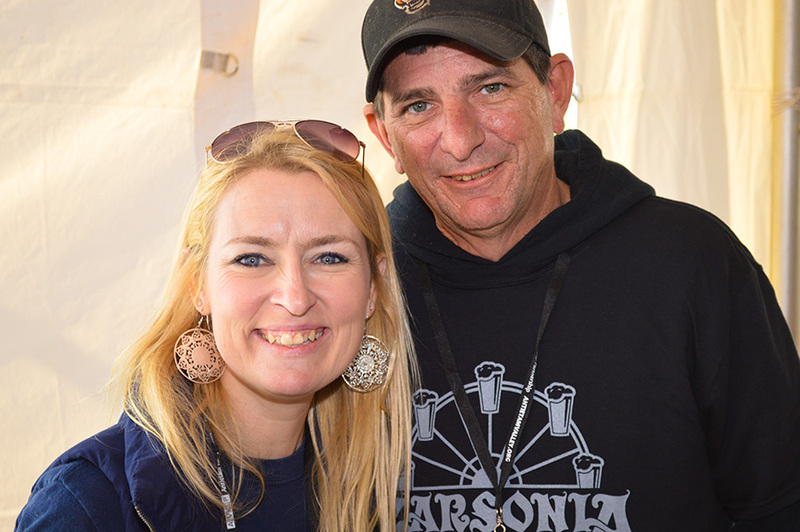 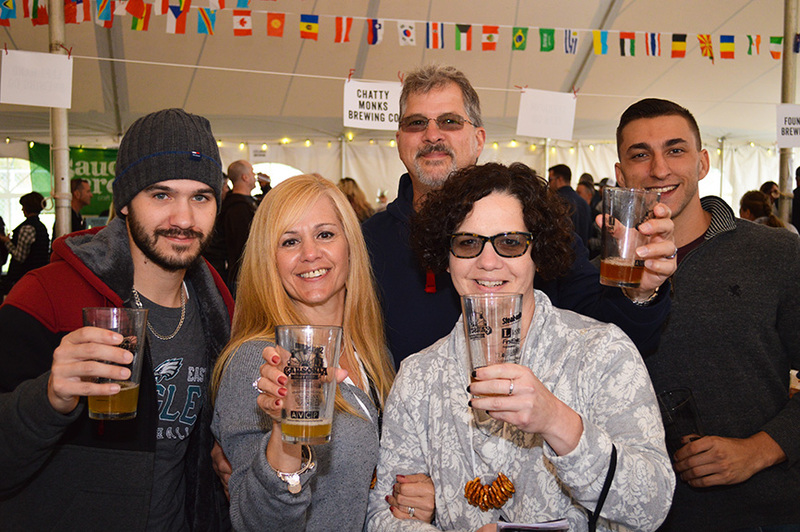 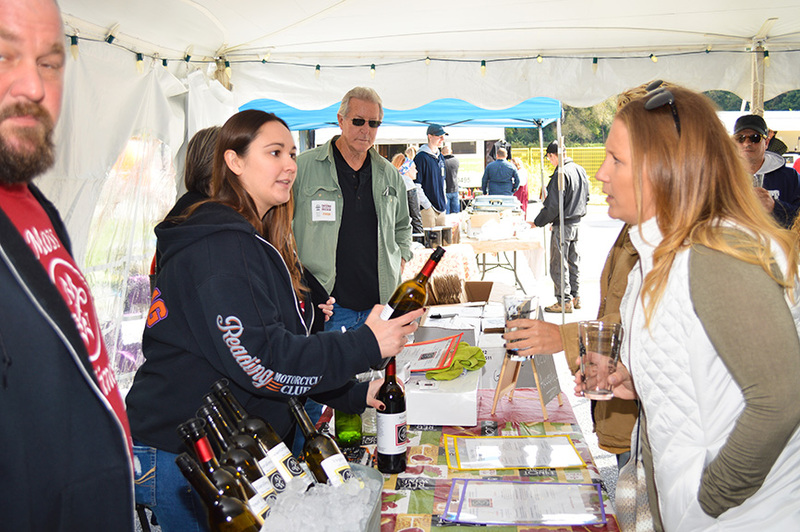 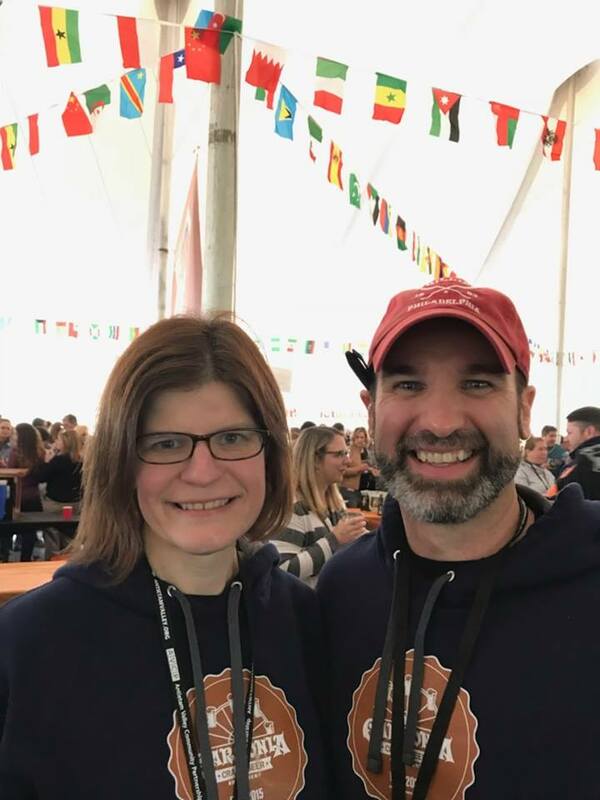 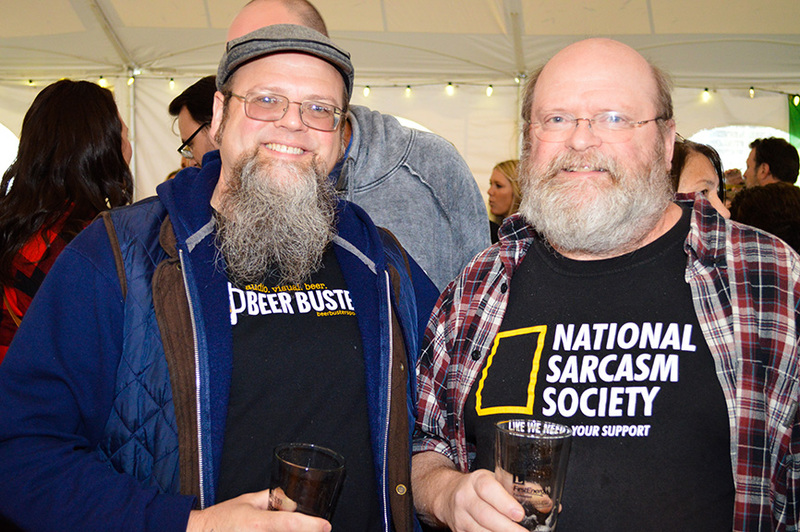 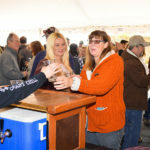 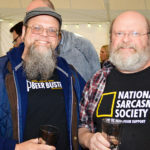 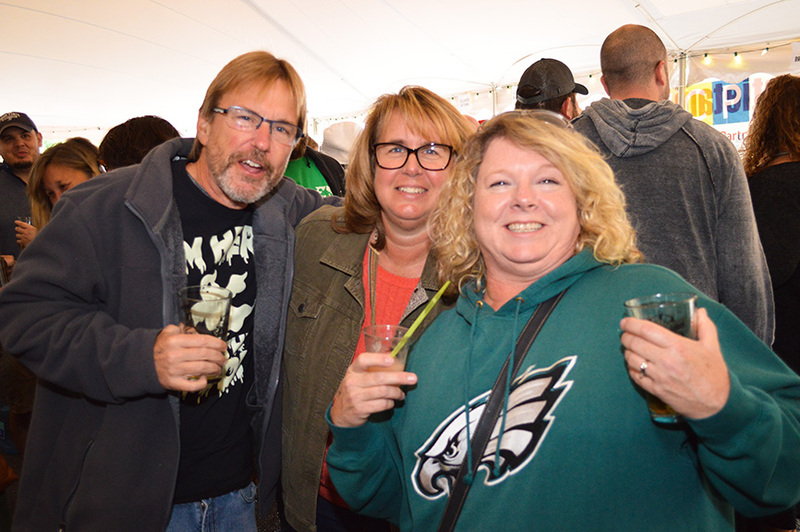 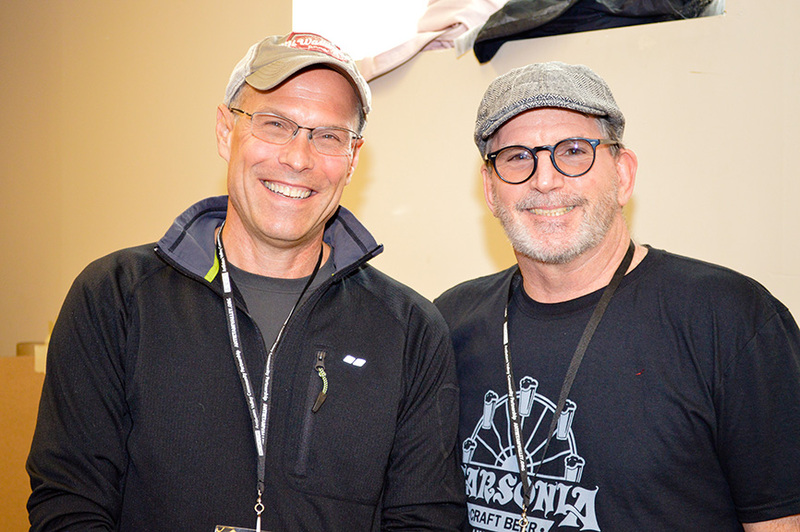 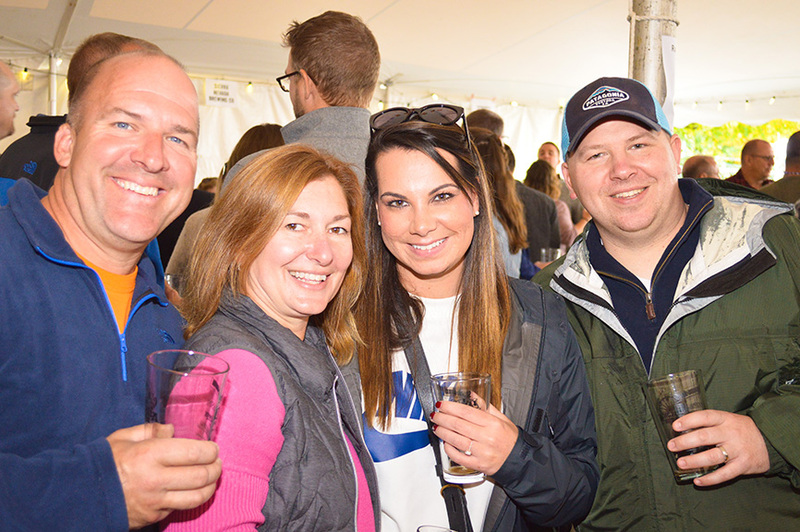 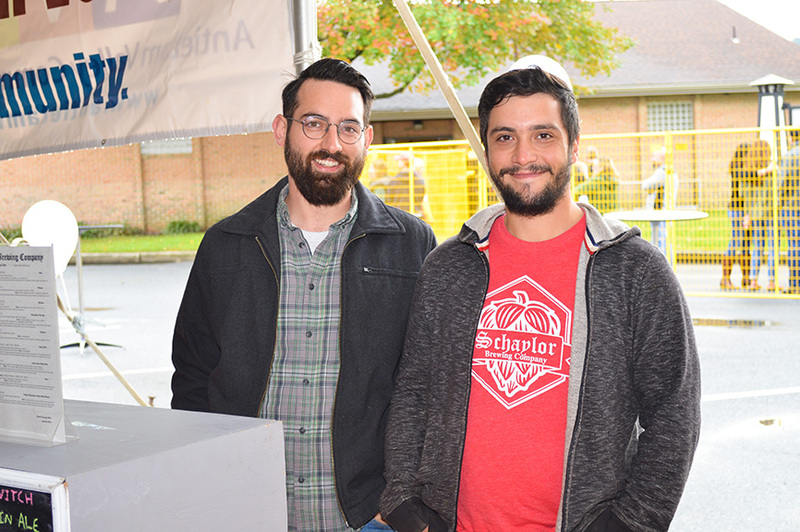 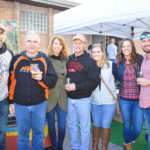 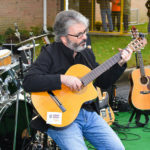 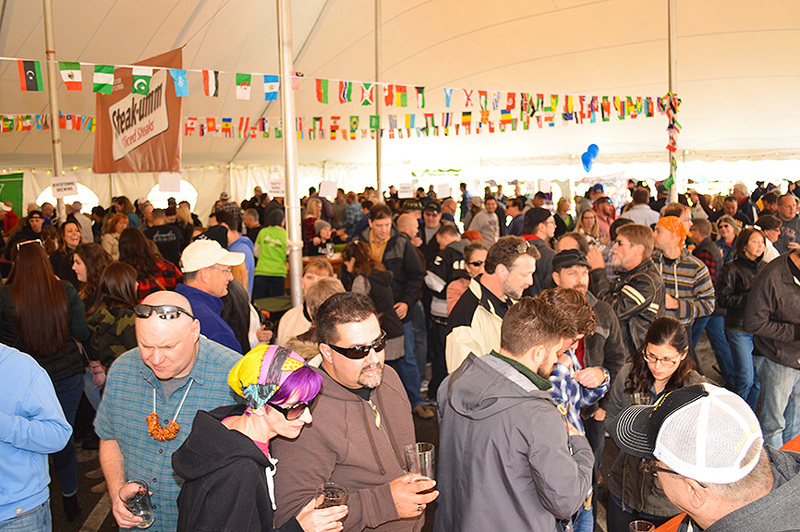 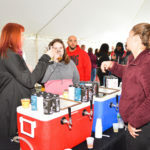 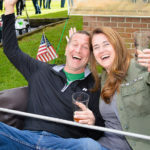 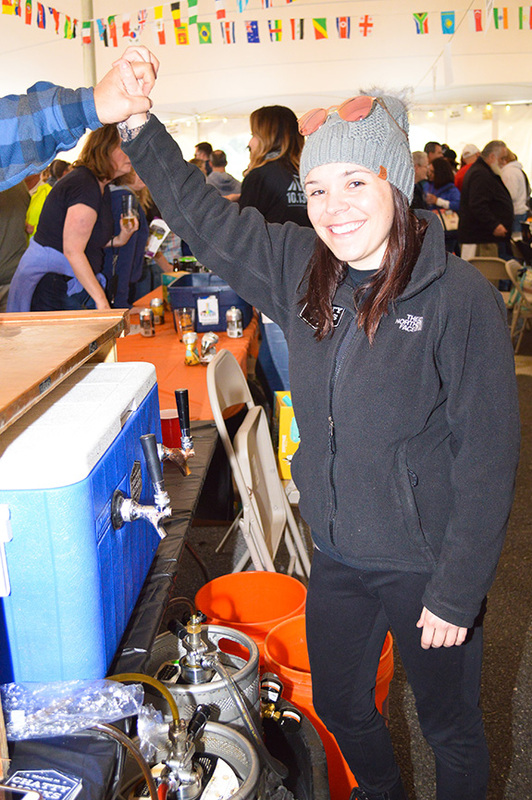 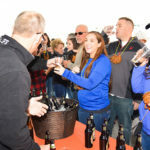 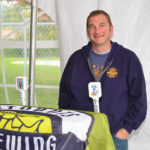 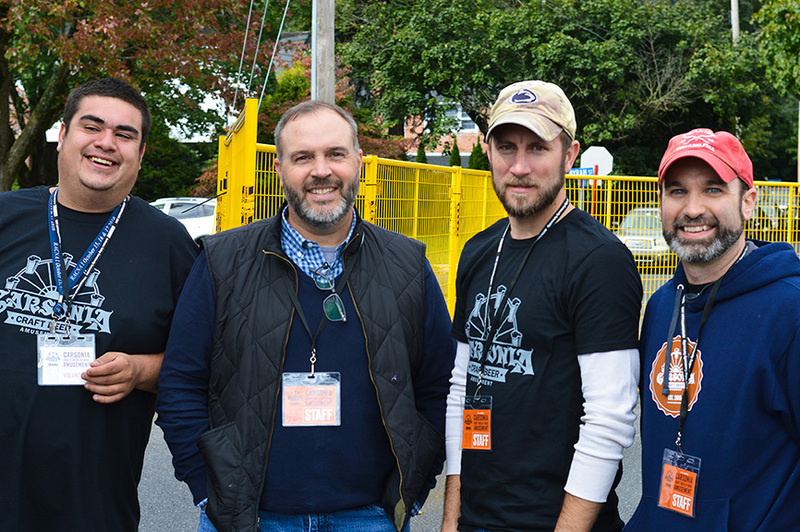 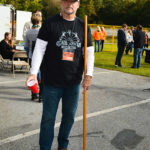 The 4rd Annual Carsonia Craft Beer & Wine Amusement, held on Saturday, October 13, 2018 was held on a balmy fall afternoon. 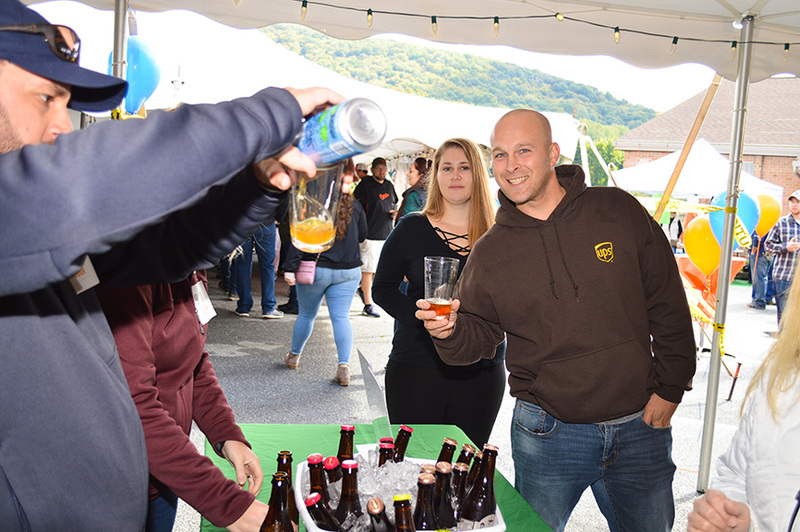 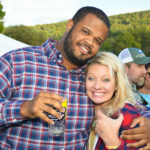 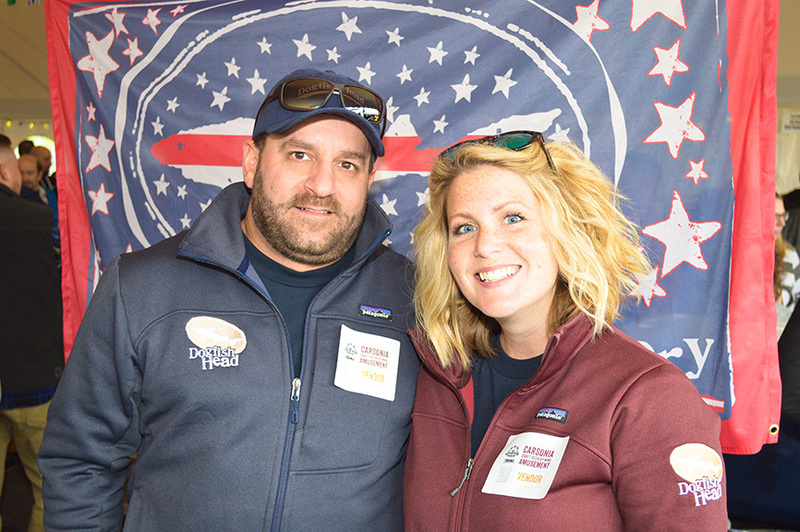 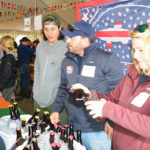 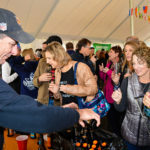 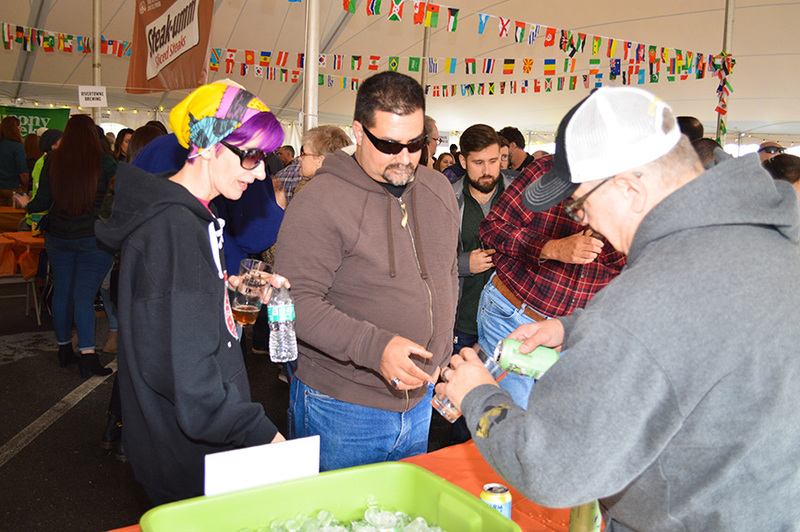 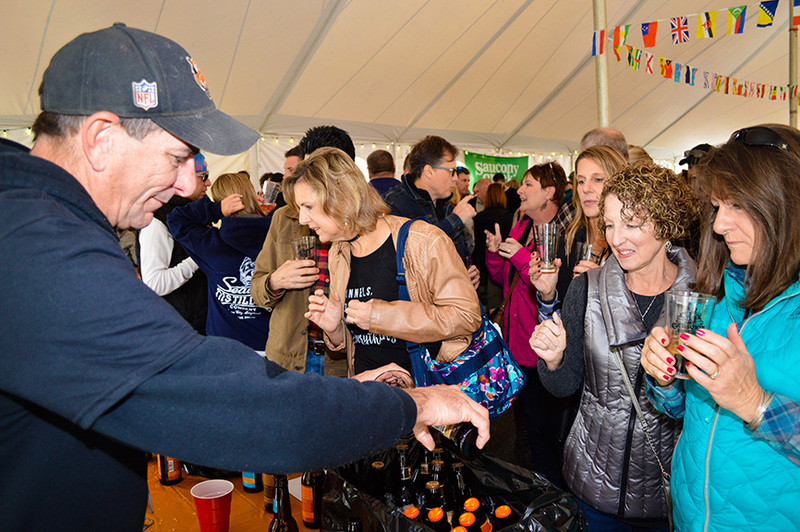 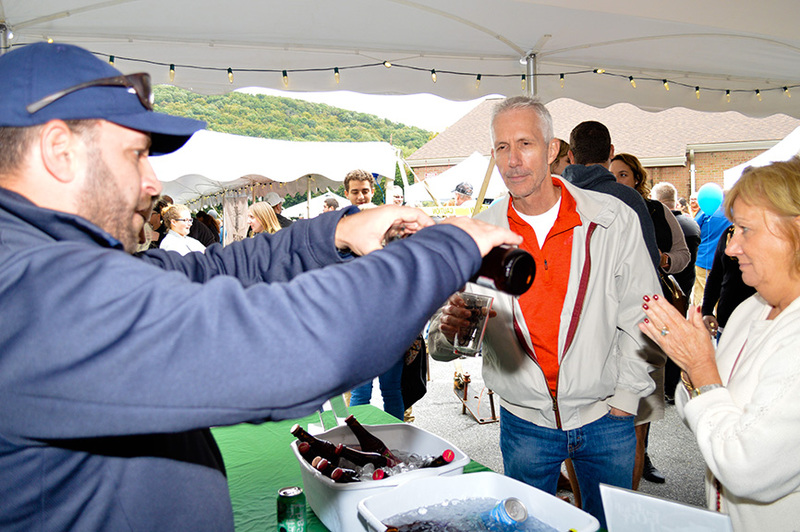 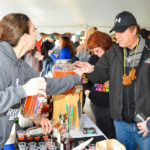 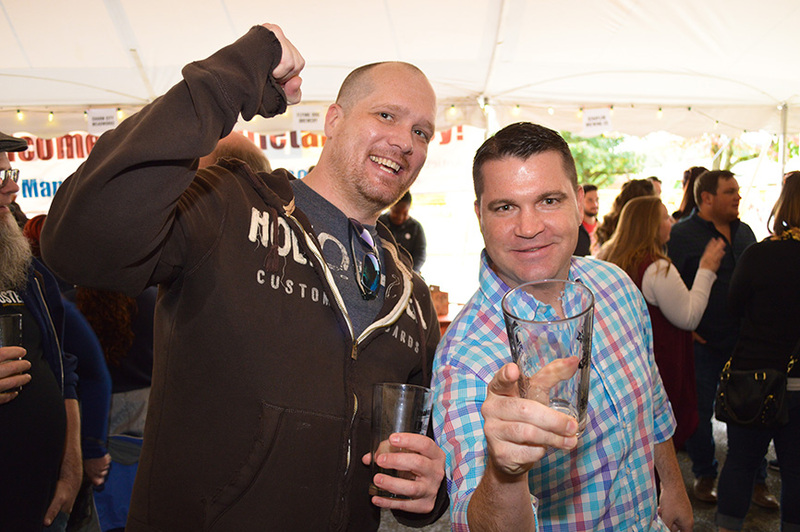 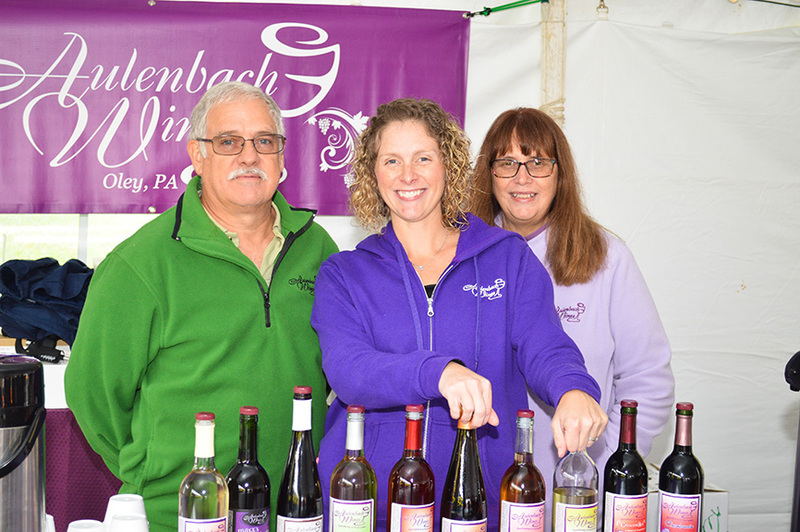 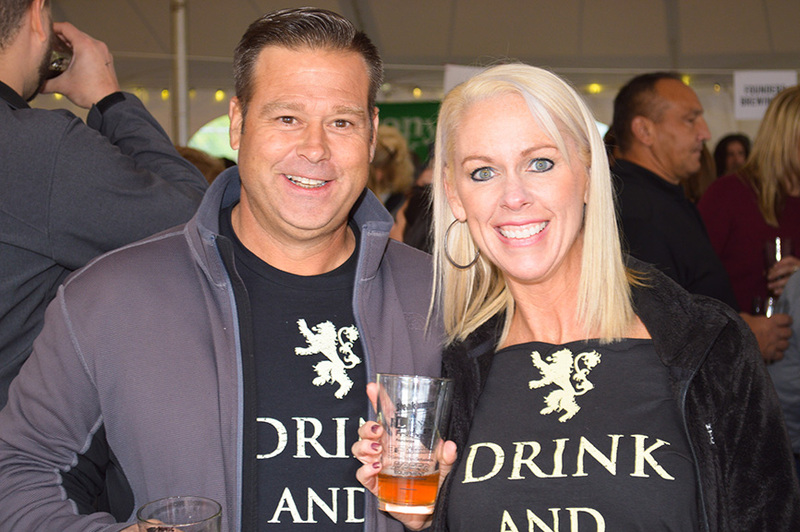 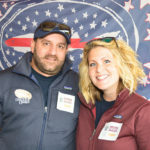 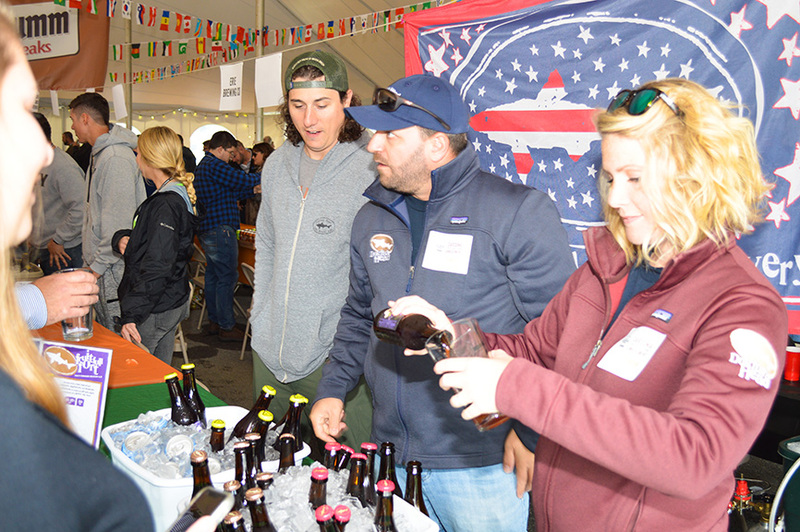 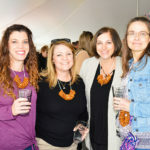 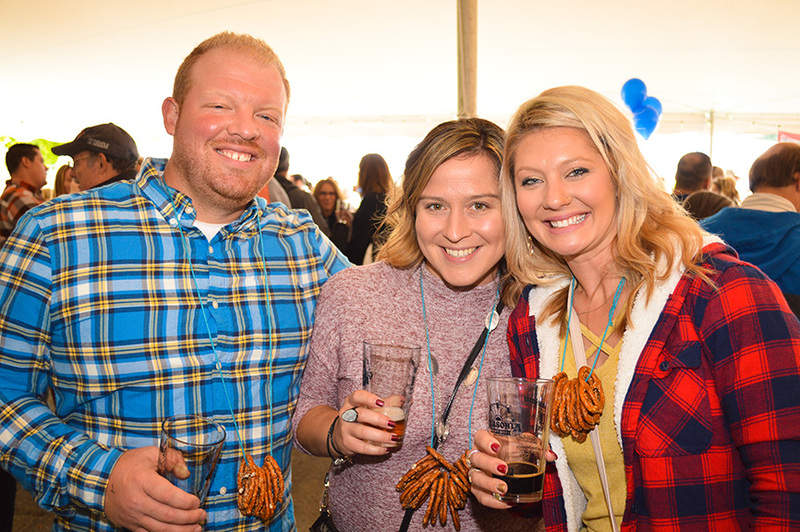 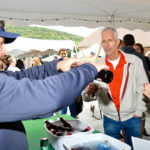 Another sold-out crowd came together to raise money and sample the offerings of over 30 vendors, including craft breweries, wineries, cideries, and a distillery. 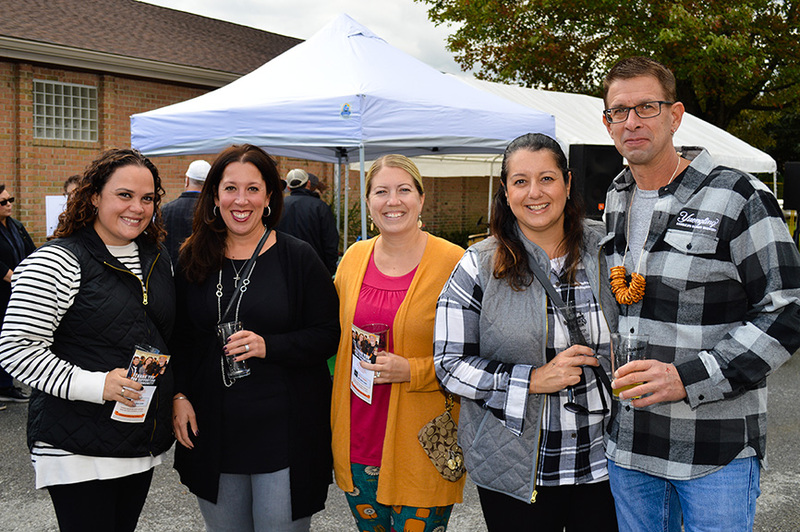 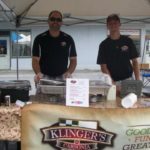 The tasting event was complemented by wonderful food from local restaurants, live music, and a raffle featuring generous donations from our local businesses. 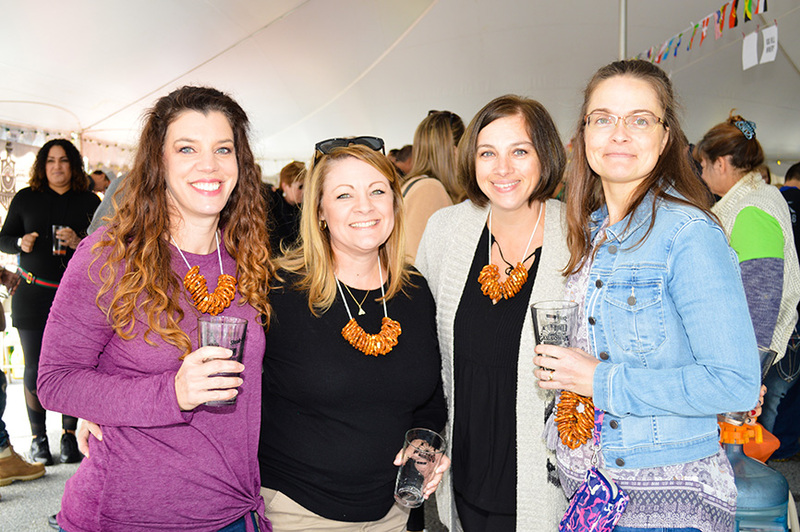 Thank you to all of our attendees, our sponsors, the vendors, volunteers, and our planning committee for all of your hard work. 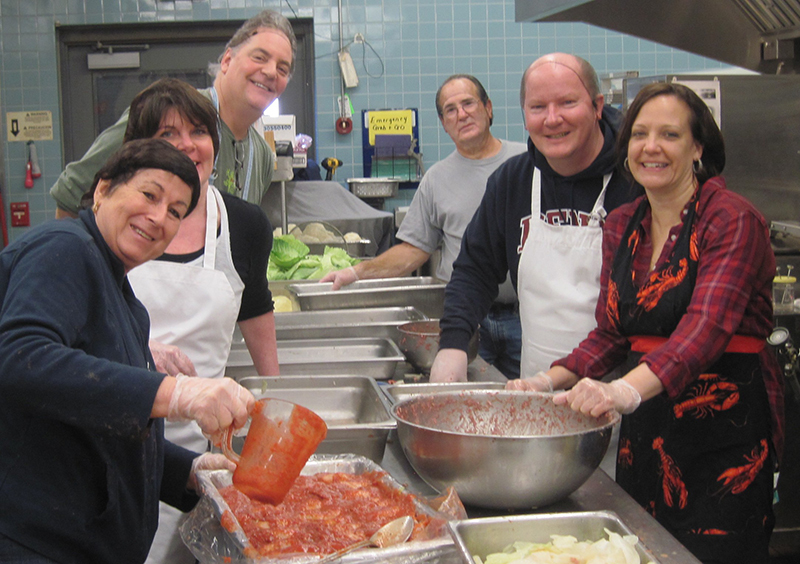 Our crazy fun community members host fantastic all-you-can-eat dinner events each March in the Antietam High School Cafeteria. 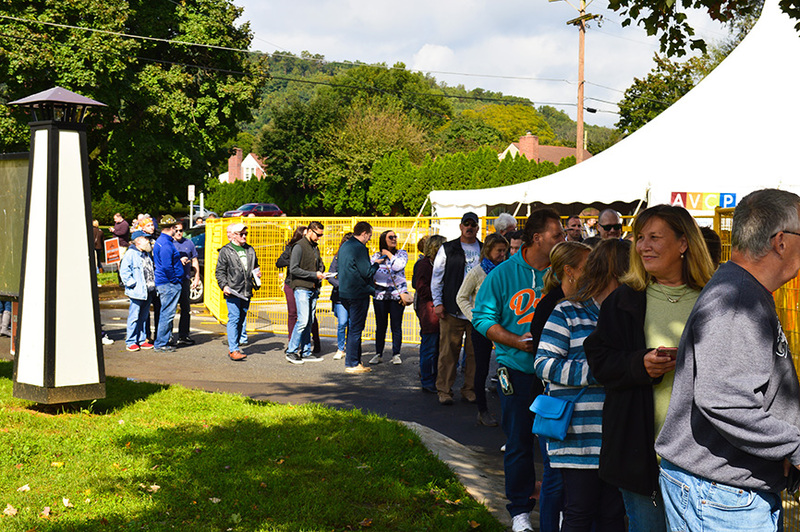 Tickets are available at the door for a $10 donation for eat-in or take-out. 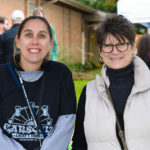 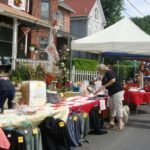 Community Yard Sale events were held from 7:00 a.m – noon, including a central market at Carsonia Park that morning with concessions available for purchase. 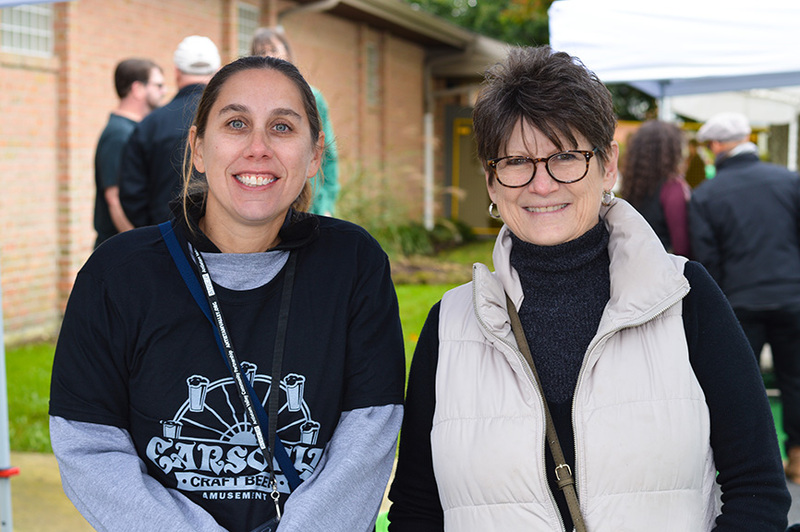 The 7th Annual Community Yard Sale (September 16, 2017) included a central market at Carsonia Park that morning with concessions available for purchase. 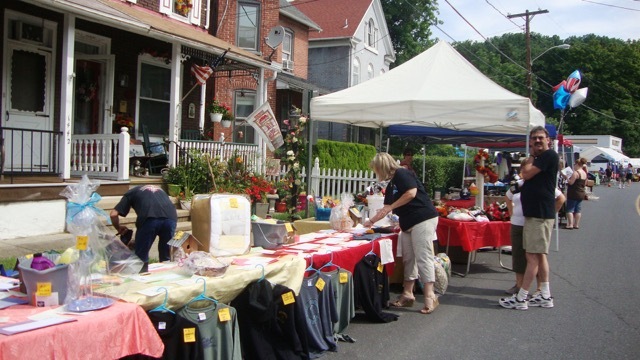 There is no cost to be part of the yard sale, but participants are requested to make a donation to AVCP to help cover advertising expenses. 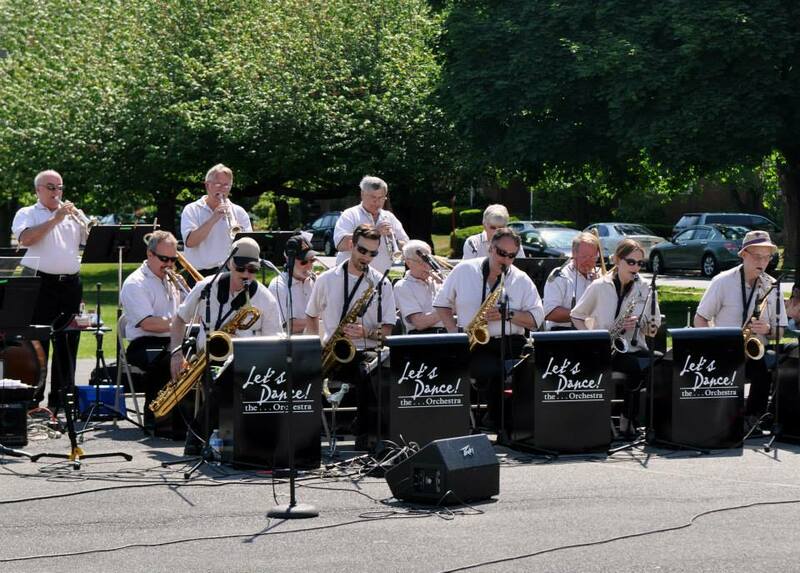 Our first Concert in the Park…featuring the Let’s Dance Orchestra…One Swinging Big Band was held on Sunday, May 24th from 2:00 to 4:00 to kick off the Memorial Day weekend. 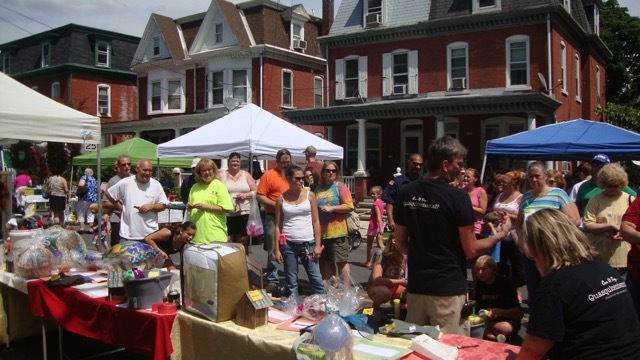 This free event was sponsored the Antietam Valley Community Partnership. 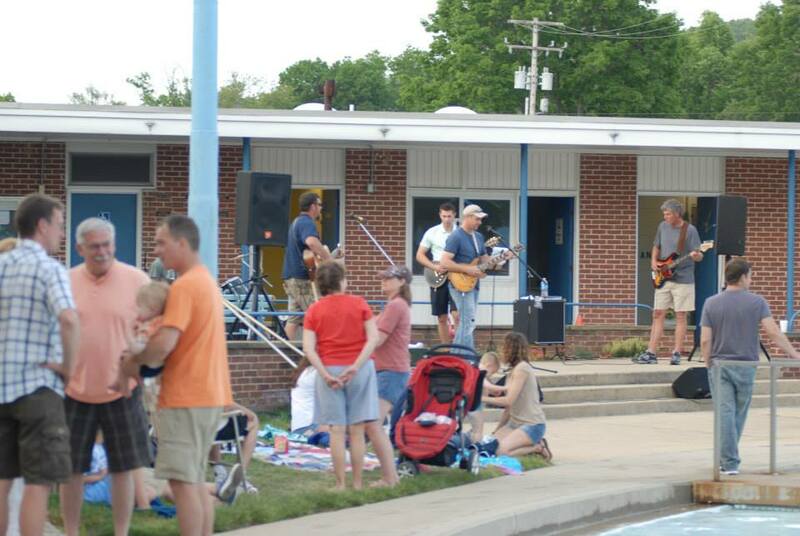 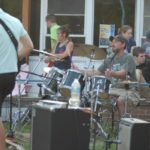 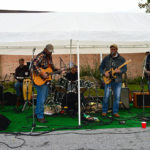 Later that evening, we enjoyed the local band, 3 on the Tree from 6-8 inside the grounds of Antietam Pool. 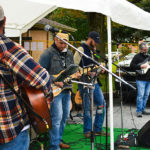 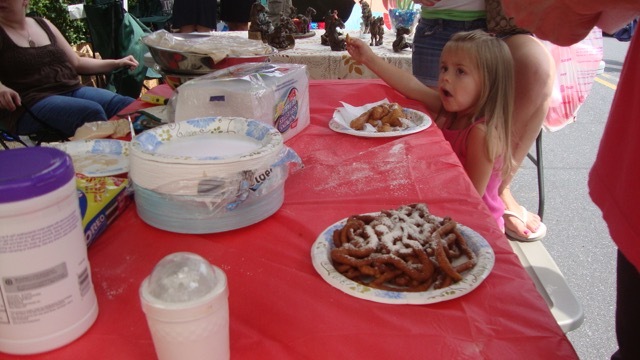 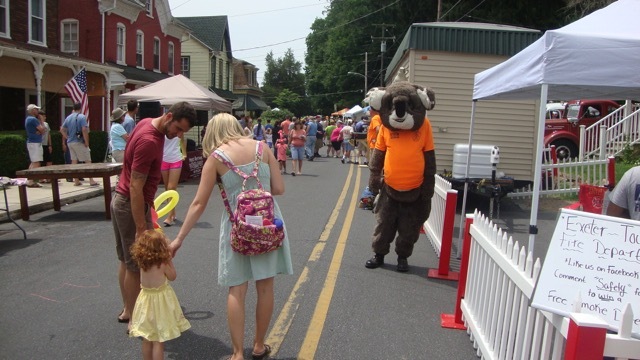 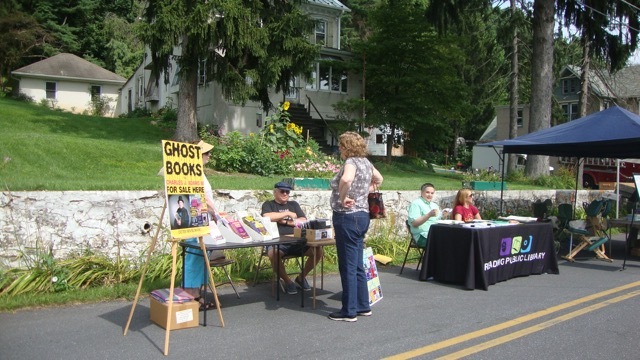 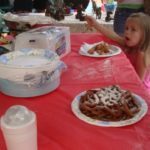 The weather was perfect and many residents gathered to enjoy both events. 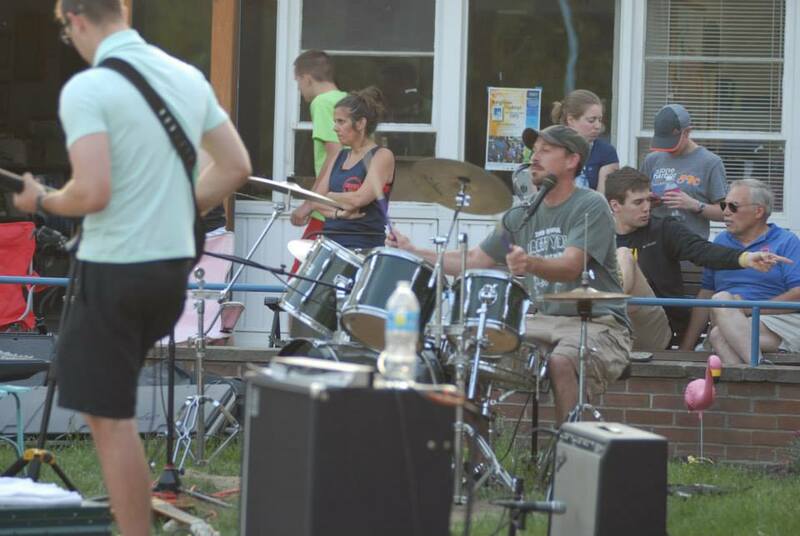 >> view our Facebook Concert in the Park Album! 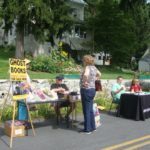 The Antietam Community Theater performed scenes of fright and terror during a delightful evening of ghoulish fun and deep dread. 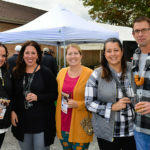 Attendees, wearing Venetian masquerade journeyed back to the world of Edgar Allan Poe, experiencing The Raven, The Tell-tale Heart, The Cask of Amontillado, and more throughout the evening. 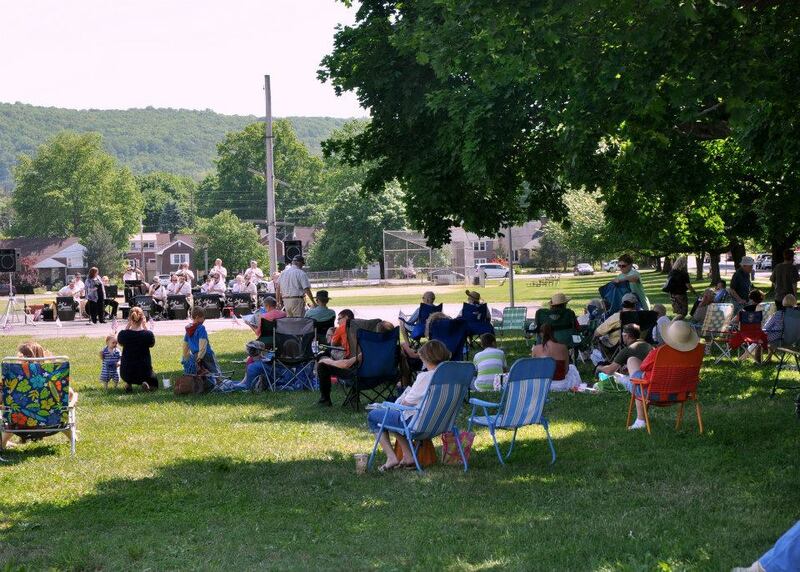 Thanks to all who joined us for an old-fashioned trolley tour of Historic Carsonia Park (2016) with Corrie Crupi and Paul Druzba, local historians, the Mount Penn and Lower Alsace area with Mount Penn Historian, Pete Heizman (2015), Paul Druzba, Neversink Mountain Historian (2014) and Corrie Crupi (2013). 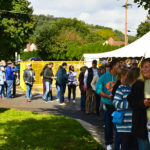 Three separate tours were held at 11 am, 12:30 and 2:00 pm, showcasing many historical scenes and structures throughout the beautiful Antietam Valley. 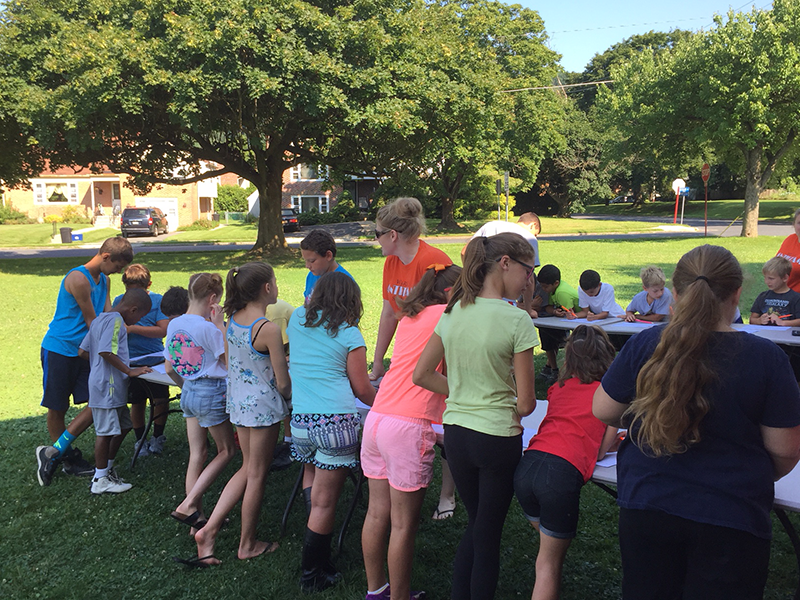 2017 Movie nights this year included Inside Out, Goonies and Minions. 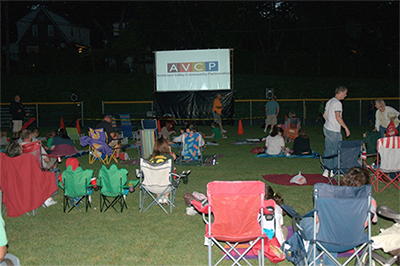 Movie nights were held for community members at the A-field, with viewers bringing chairs and blankets for fun nights under the stars. 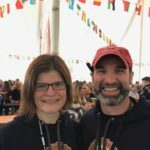 New in 2018 – the Silent Disco! 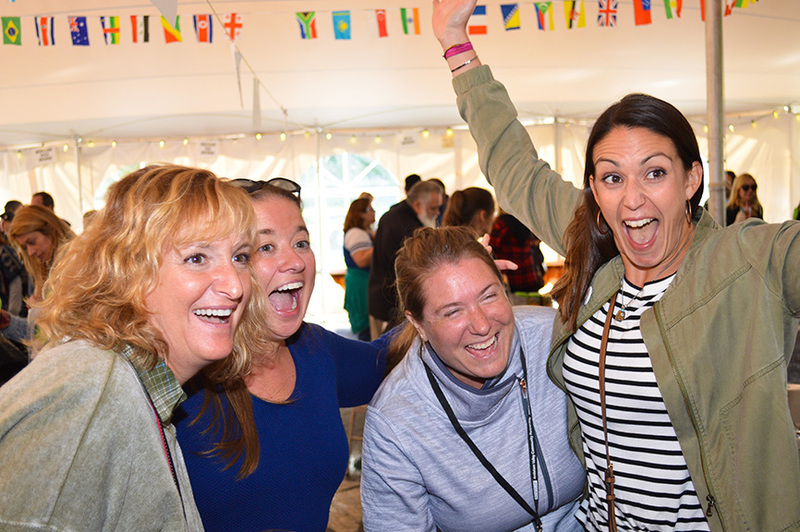 A silent disco is an event where people dance to music listened to on wireless headphones. 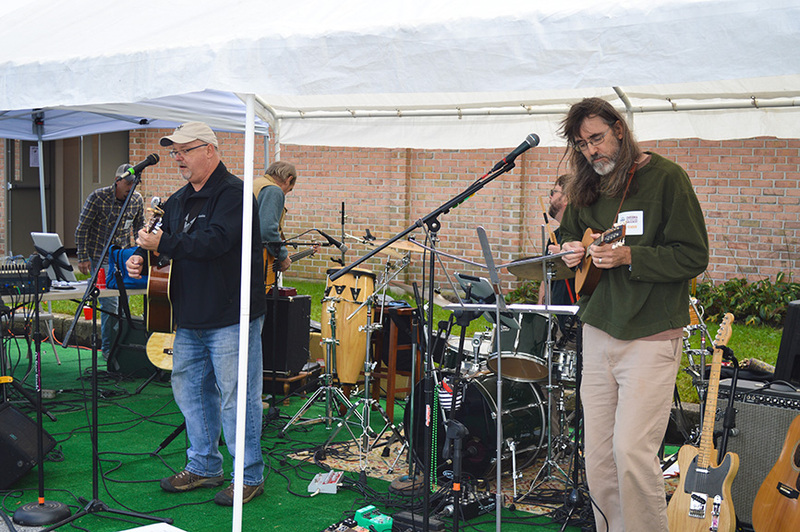 Rather than using a speaker system, music is broadcast via a radio transmitter with the signal being picked up by wireless headphone receivers worn by the participants. 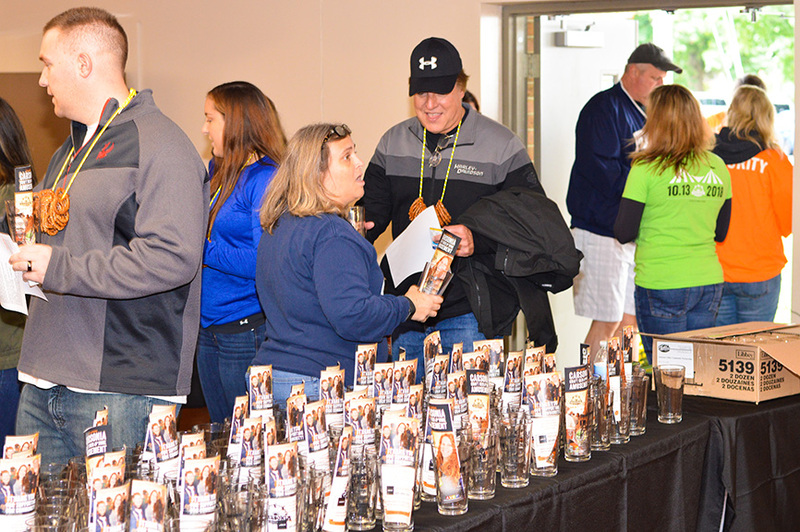 Headsets are provided for rental, with the purchase of a ticket at the door. 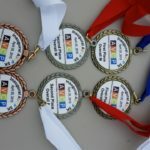 There are two channels on the headsets, with one of two DJ’s to choose from!. 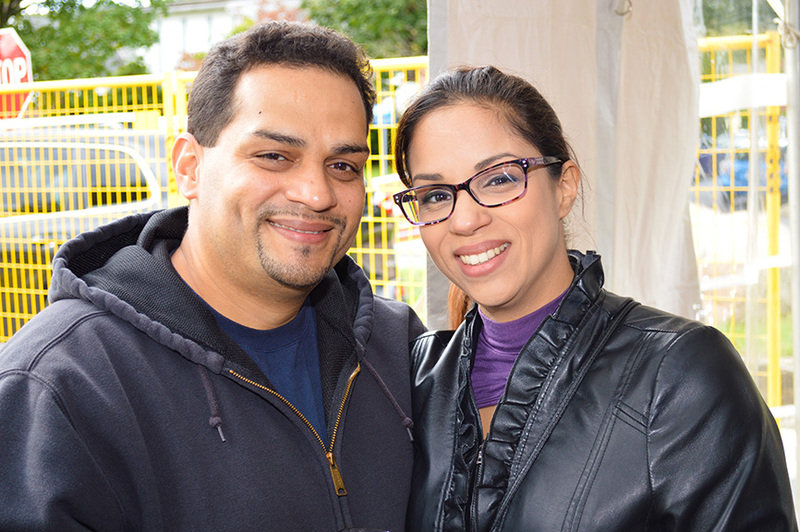 We’re thrilled to have DJ Evolution and DJ Too Much gracing the turntables! 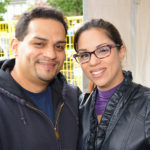 A great time was had dancing under the stars at Carsonia Park! 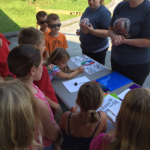 STEAM Trolley is a free mobile classroom with stops out in the Antietam Valley community to reach students in grades 1 through 8 where they are, and engage them in Science, Technology, Engineering, Art, and Math lessons during their summer break. 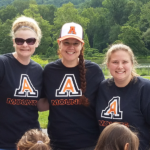 Created by Antietam School District teachers: Tara Ehling Halvorson- secondary Art; Dawn Laub- secondary Library; and Sarah Westley- elementary Library, STEAM Trolley is funded by a grant from Berks Community Action Program. 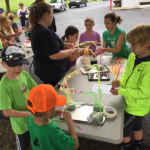 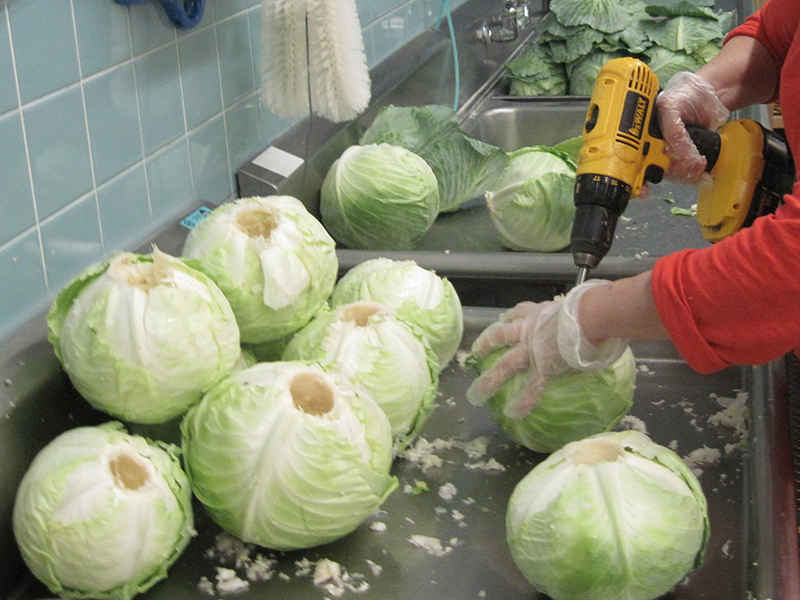 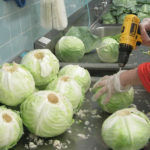 The differentiated, original STEAM lessons are based on the community and local history, providing students with a connection to their history while using critical thinking and problem solving skills that can enhance their futures. 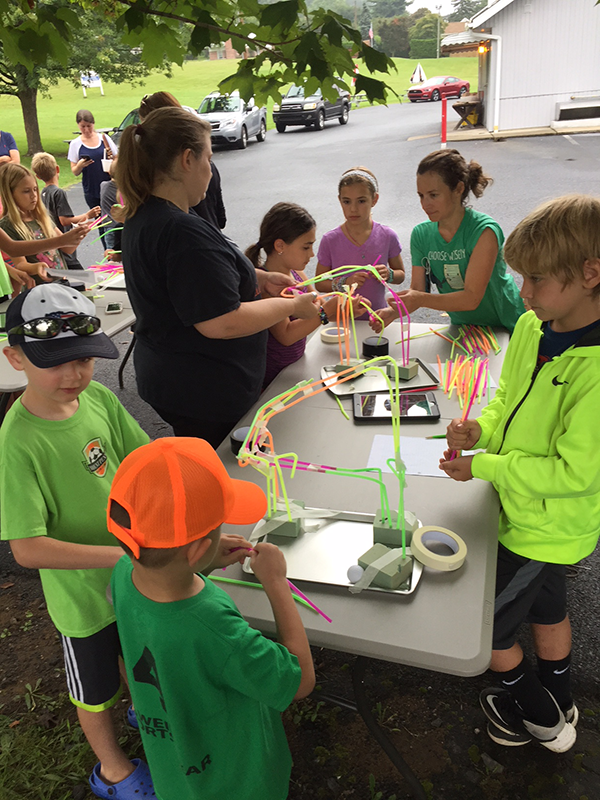 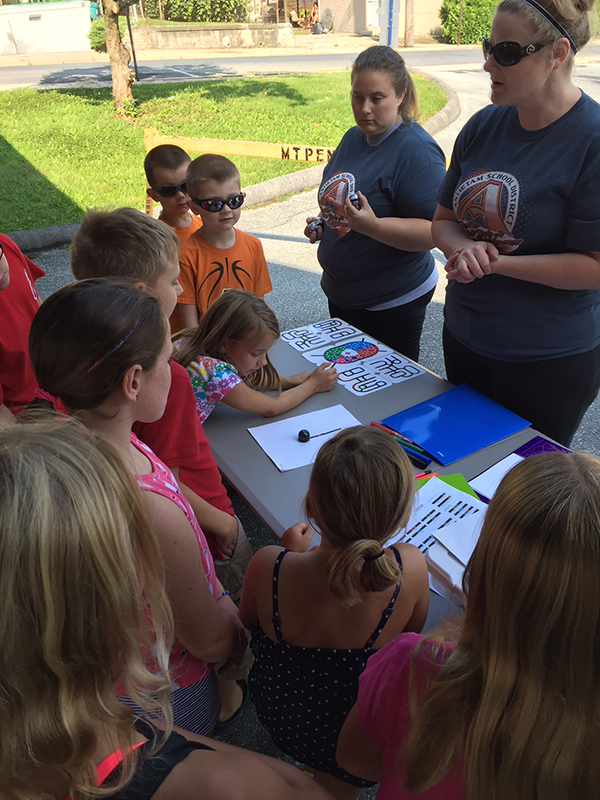 In its inaugural 1 month run in August 2017, STEAM Trolley had over 200 participants in lessons that utilized Ozobots, green screen technology, and engineering concepts. 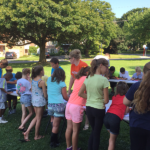 The facilitators, assisted by students in grades 9-12 who are members of ARTietam- the community service art club, see STEAM Trolley as a way to bring teachers, students of all ages, and the community together through education. 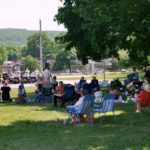 The Steam Trolley completed its season for this year and will continue in the summer of 2018. 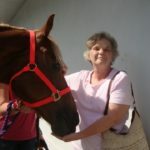 Historical presentations and information and more. 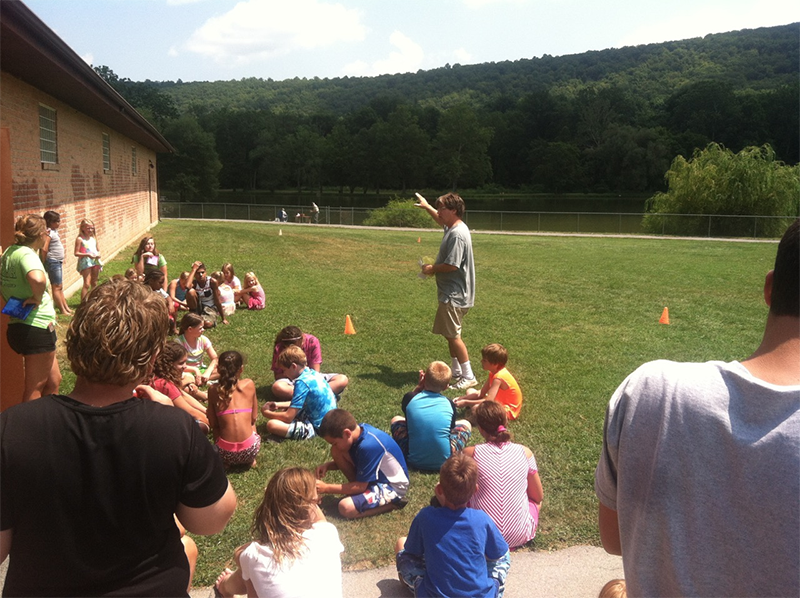 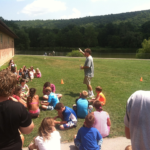 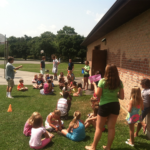 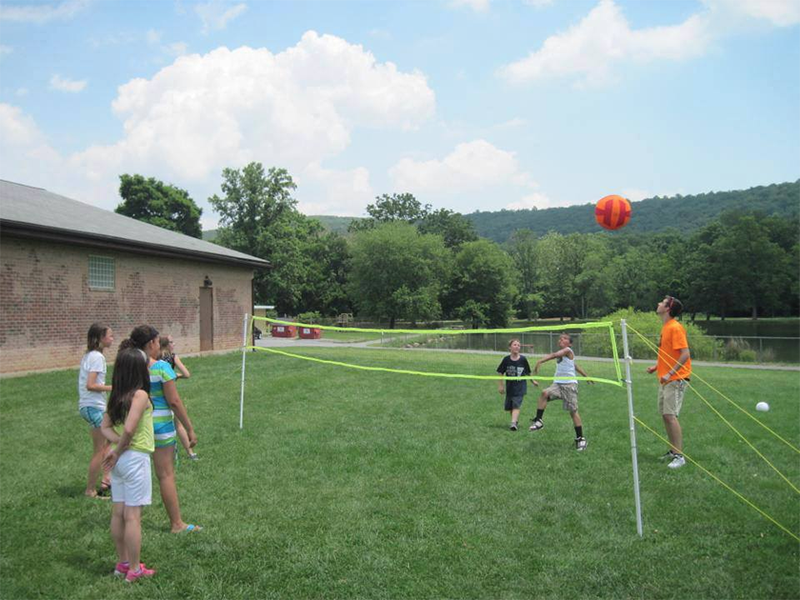 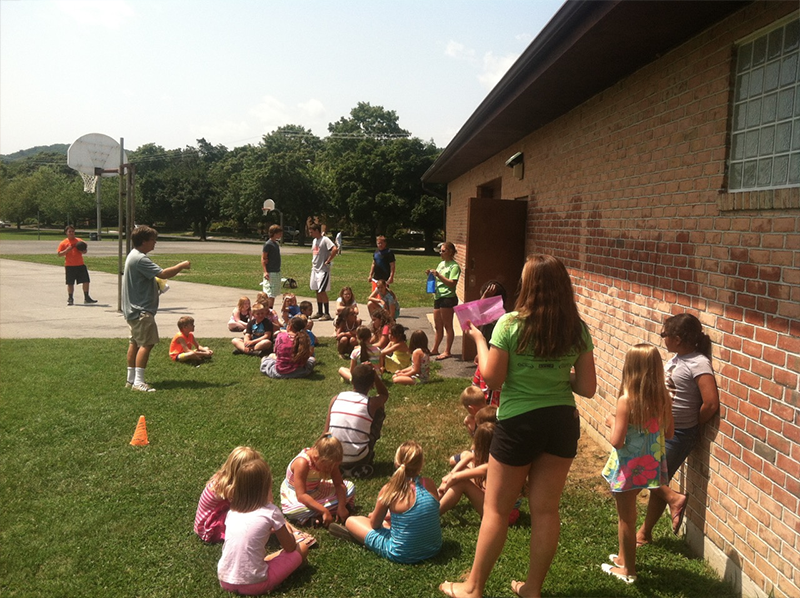 The free summer playground program is offered to children ages 7-12 who live in the Antietam Valley. 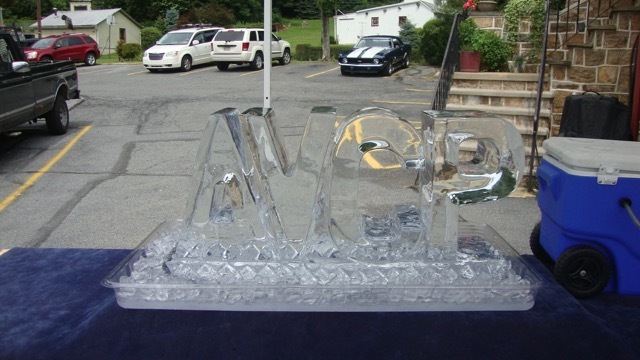 This program is provided jointly by the Borough of Mt. 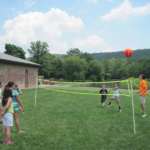 Penn and Lower Alsace Township, with support from the Antietam Valley Community Partnership and the Antietam Valley Recreation and Community Center. 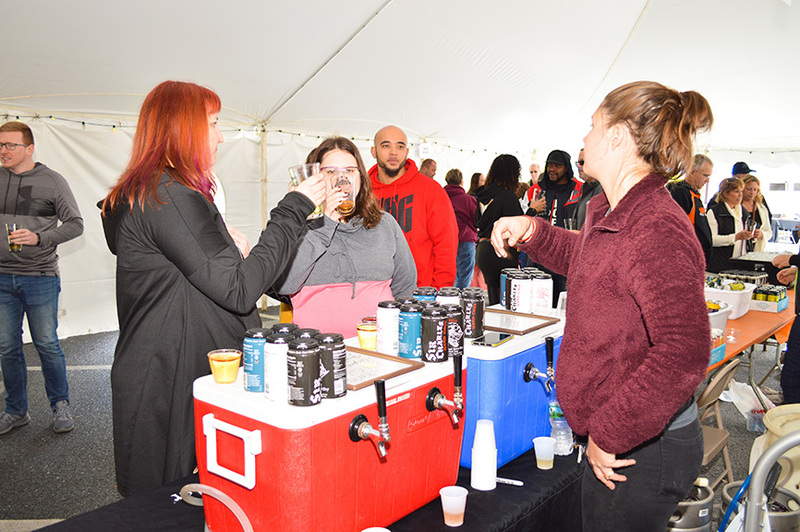 Our 8th Annual Tree Lighting in the Park was held on December 2, 2018…a toasty warm Rec Center where folks could mingle, listen to the children’s chorus perform, sip hot chocolate and nibble on cookies, and get to know each other even better. 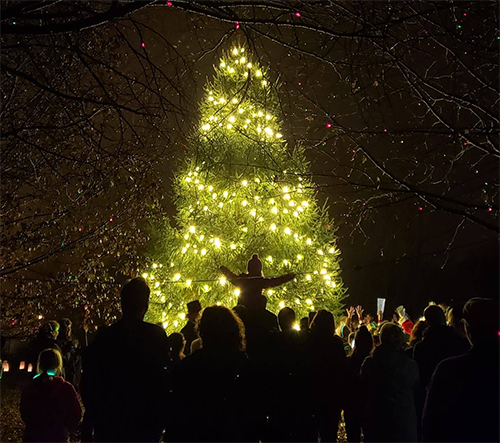 Santa made a grand entrance as only he can, welcomed by cheering kids and adults, who broke into song as he approached the spruce tree. 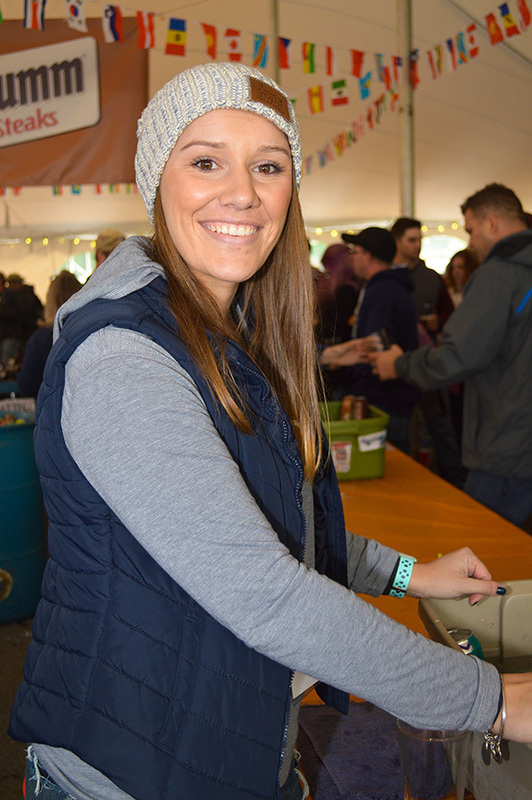 With a flick of the wrist, the tree burst into full holiday splendor, and another cheer arose from the crowd. 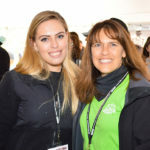 Congratulations to the winners of our Candy Counting Contest, held every year at our Tree Lighting in the Park reception! 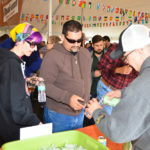 The two happy winners guessed only three under the correct amount of Tootsie Rolls and the other prize recipient came very close to the amount of M&Ms. 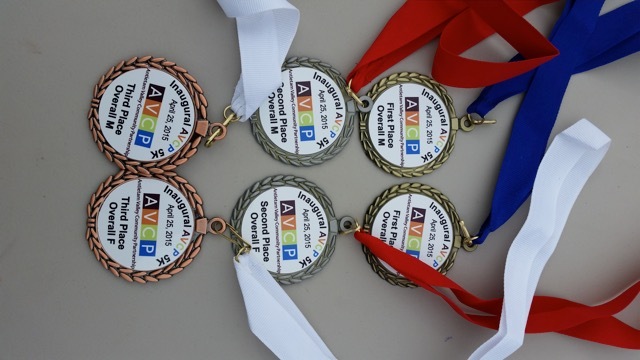 Thank you to all who participated and to the AVCP volunteers having such a fun evening! 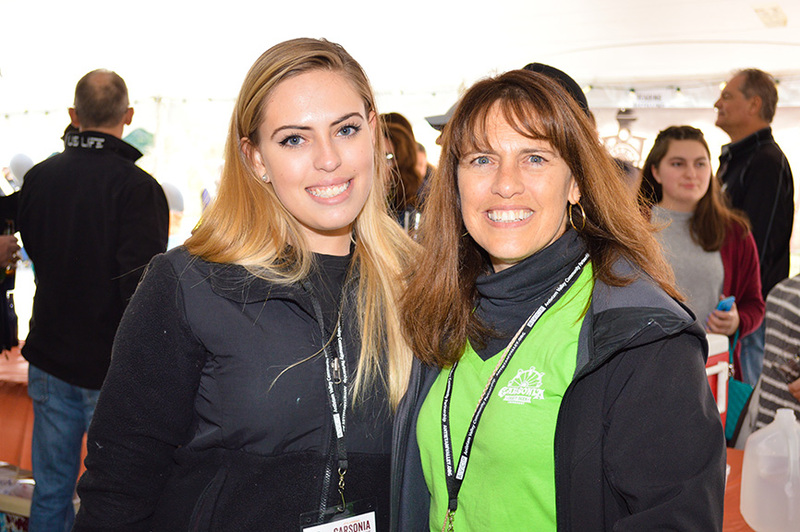 >> Read the Reading Eagle article about this year’s tree lighting ceremony. 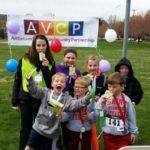 AVCP and the Reading Royals, our beloved local hockey team! 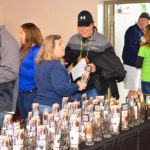 Community members enjoyed two games for the price of one – the Battle of the Badges game: Reading Police Department versus the Reading Fire Department; followed by the Reading Royals taking on the Toledo Walleyes. 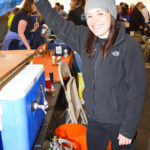 What a great day for hockey fans! 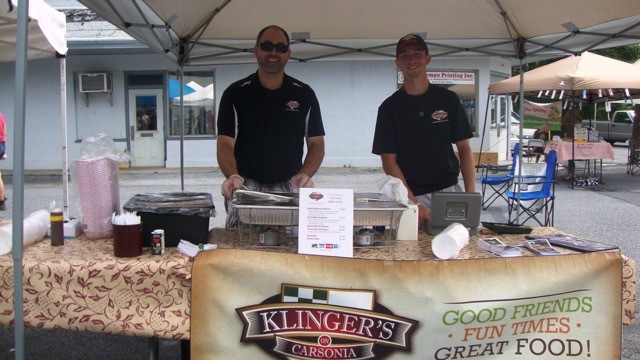 Contact us, and Join our Mailing List! 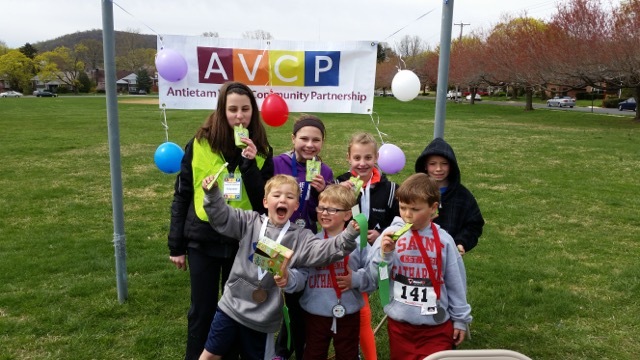 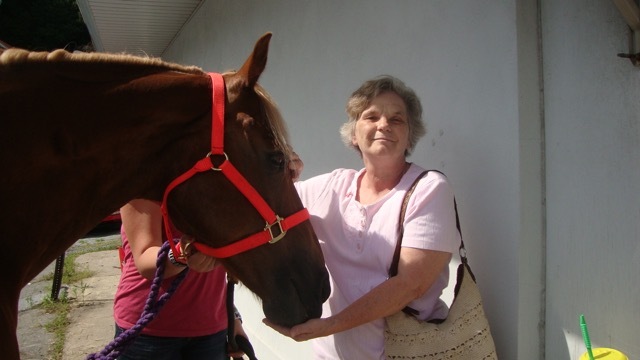 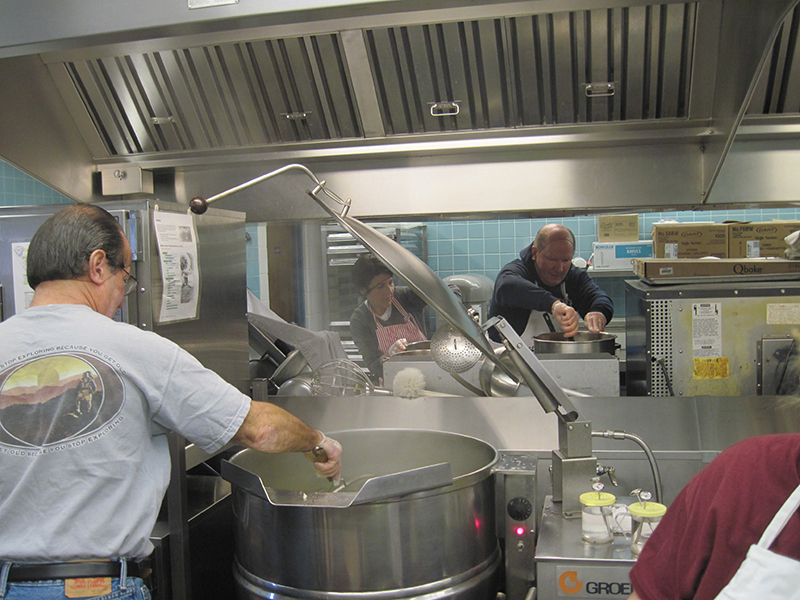 The Antietam Valley Community Partnership is a 501(c)(3) charitable organization whose mission is to improve the quality of life in our community. 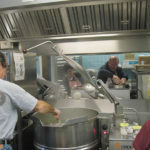 Contributions to AVCP are deductible under the guidelines set by the IRS.